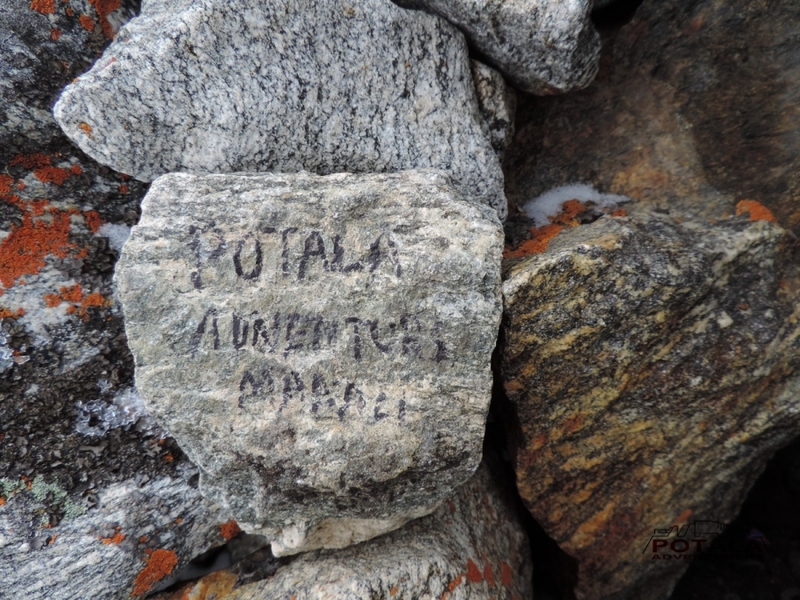 Unlike the others high passes Kang La, Poat La, Shingo La. 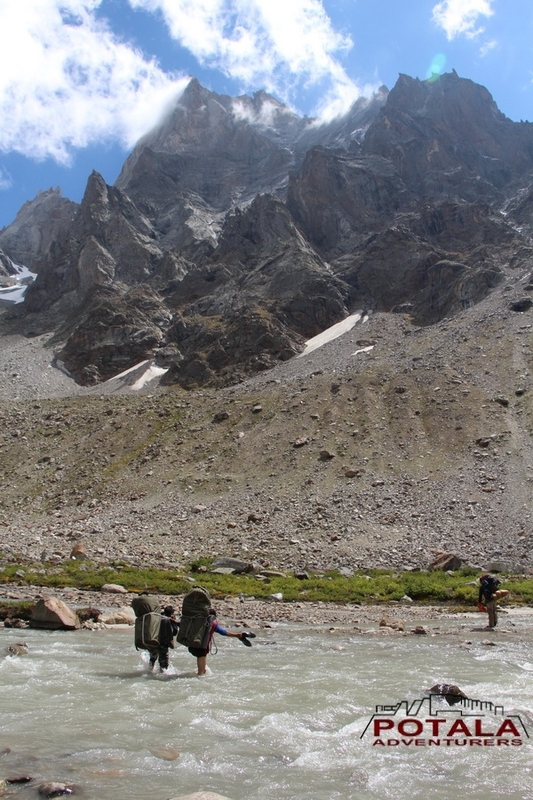 The Umasi La also is the Southern entrance to Zanskar, situated at Great Himalayan Range in between Kishtwar and Zanksar. 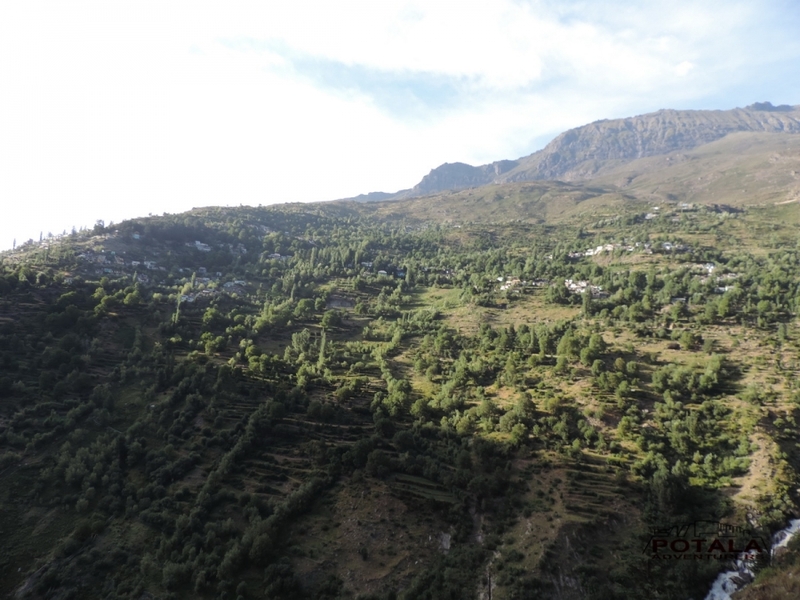 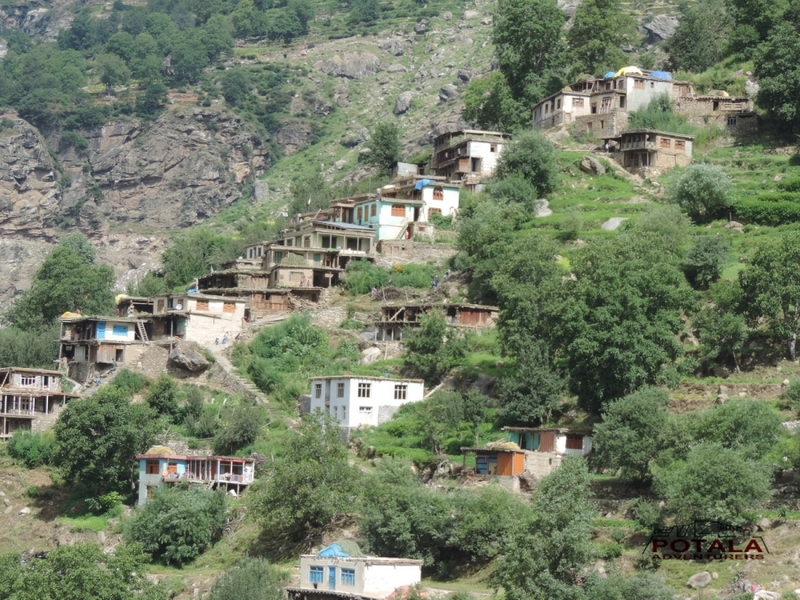 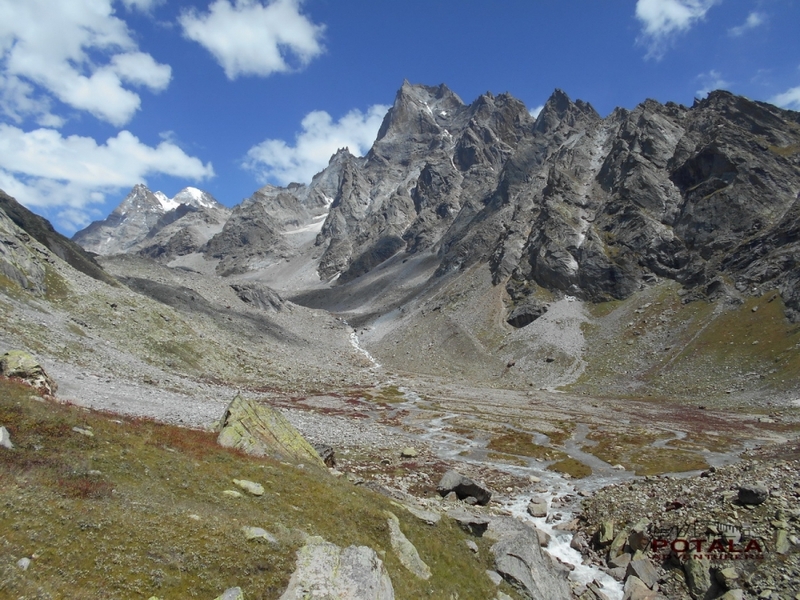 This trek offers one of the spectacular route. 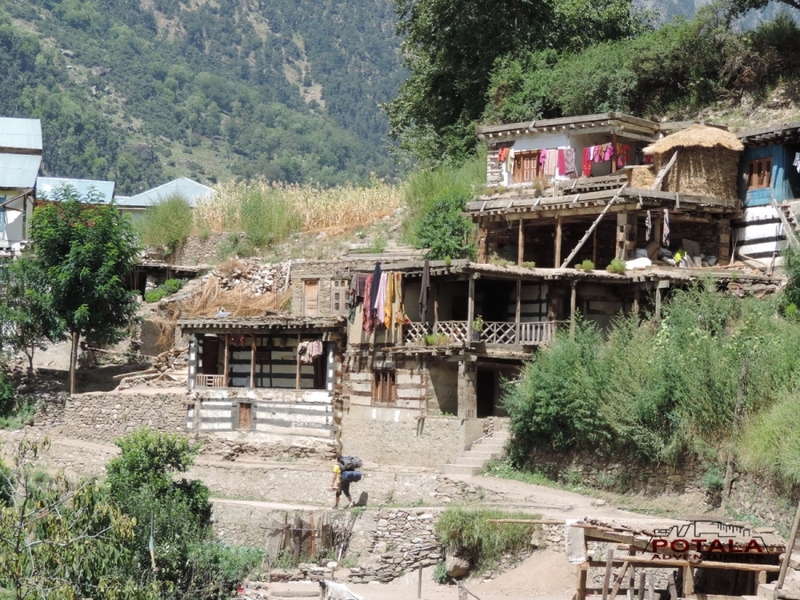 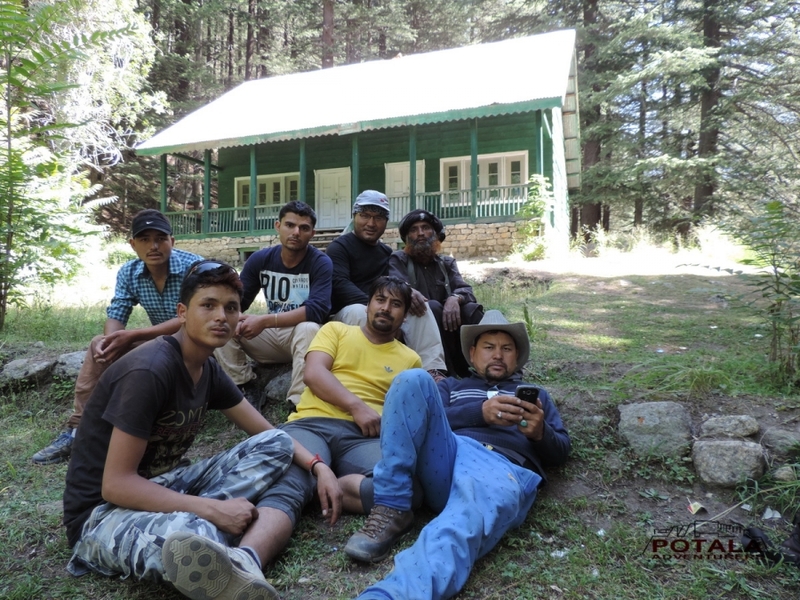 Setting off from Gulabgarh we follow a well define trail through Oak and conifer forest and pass numbers of beautiful villages with traditional Paddari home i.e. 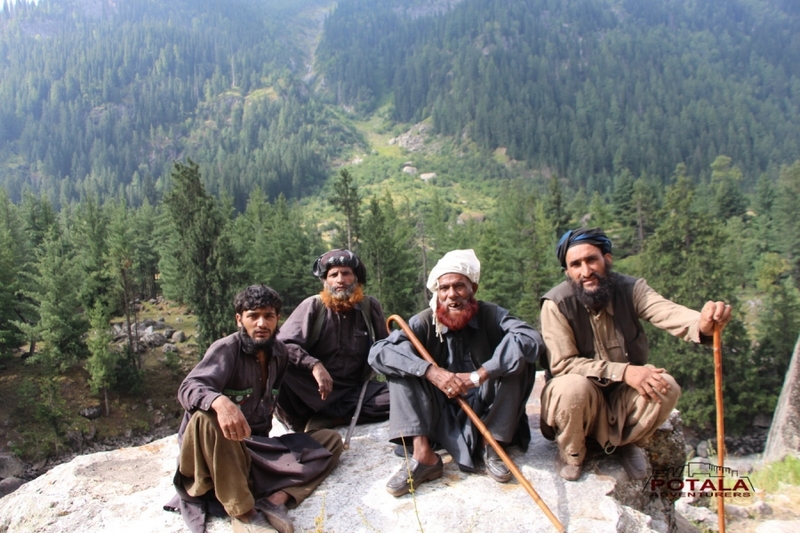 Garh, Kundel, Chishoti, Jashail etc. 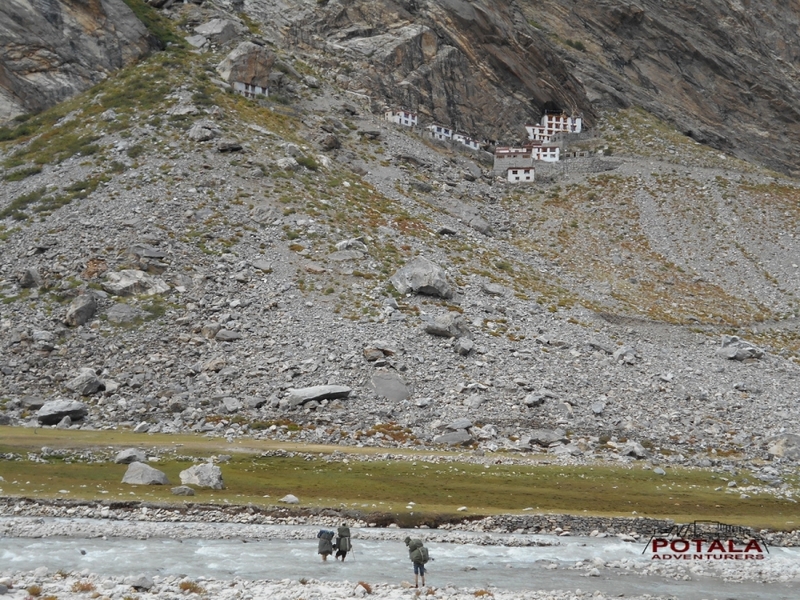 Crossing Machail the Buddhist culture starts to appear which has a close links with Zanskari for centuries. 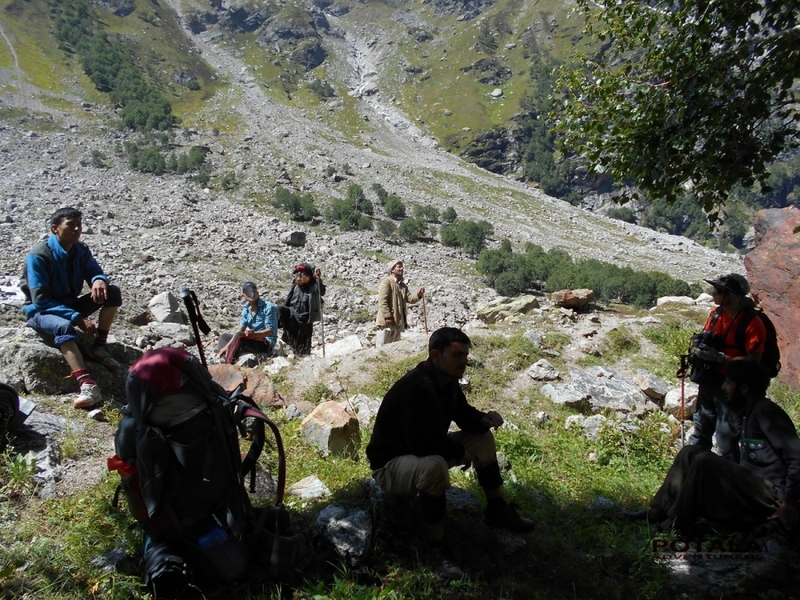 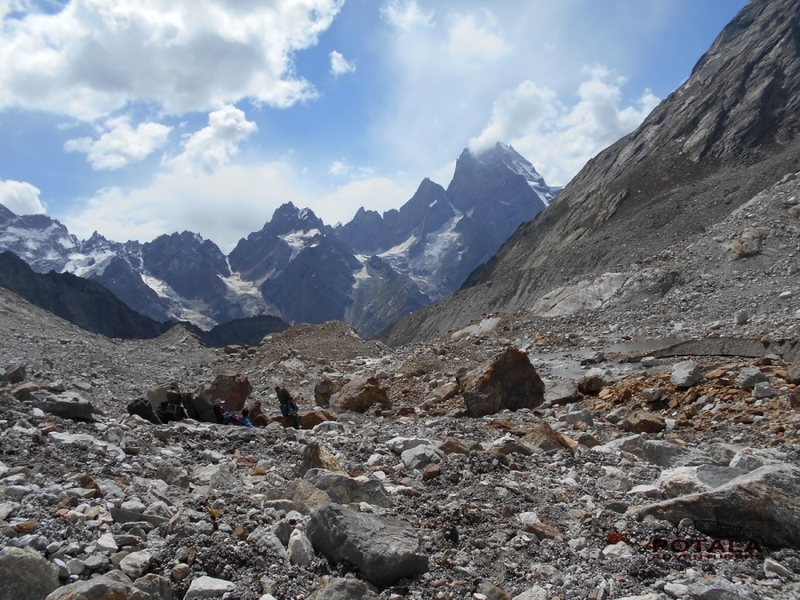 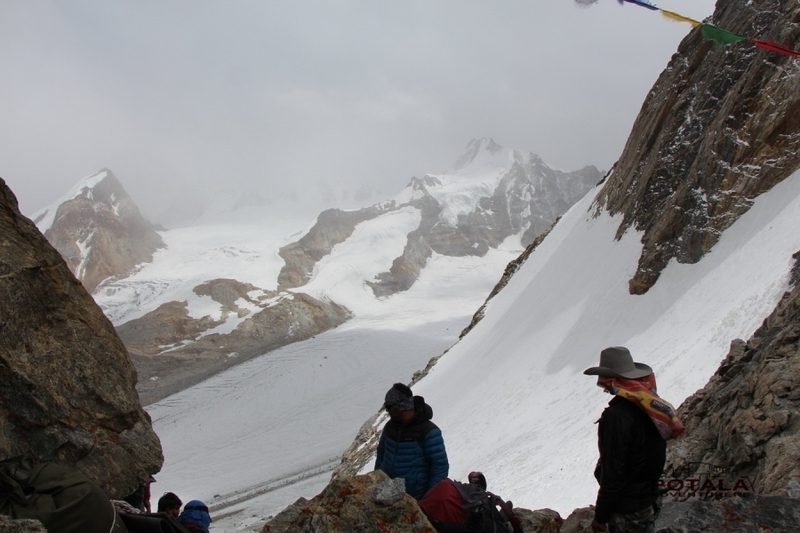 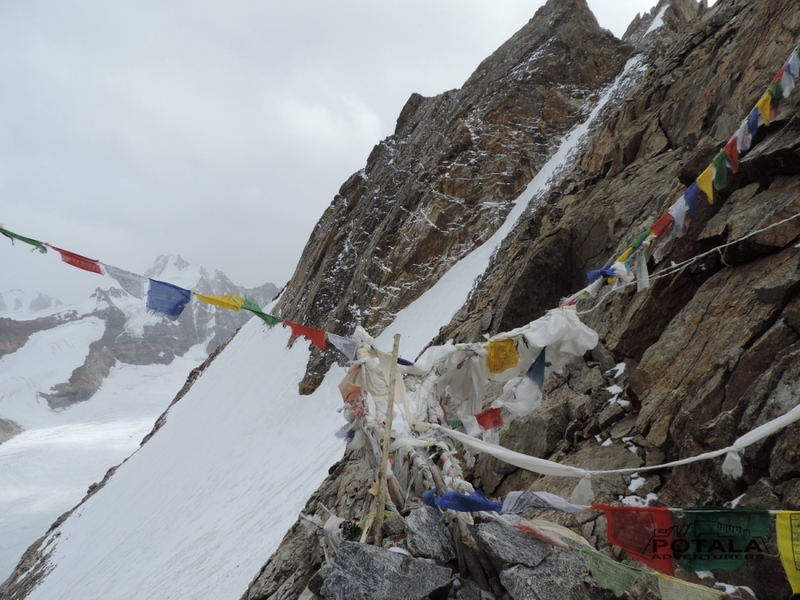 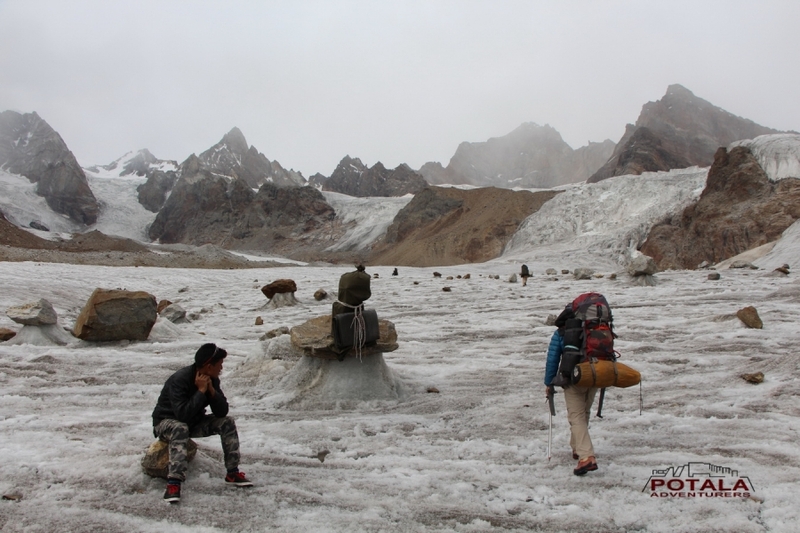 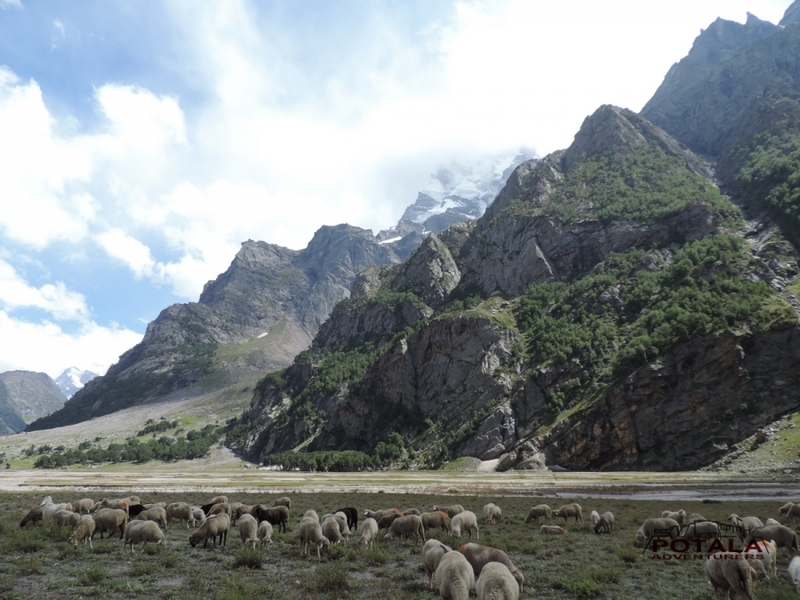 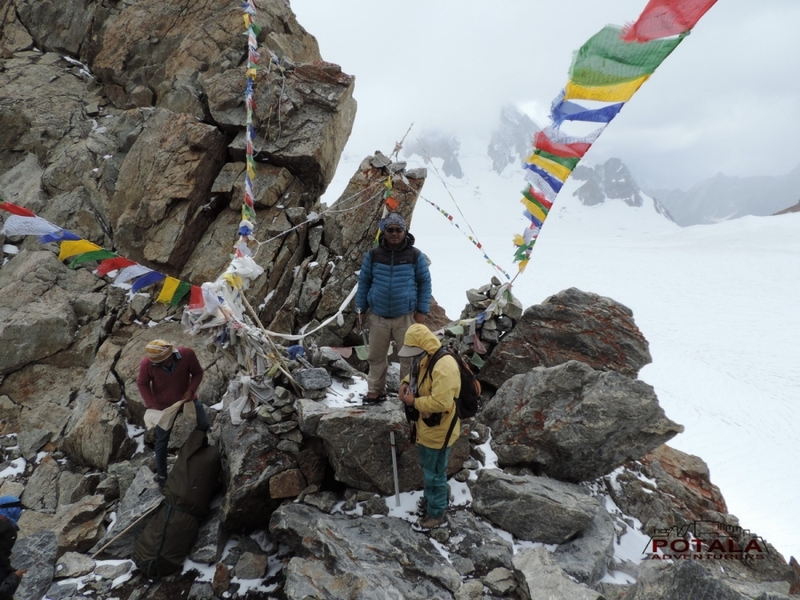 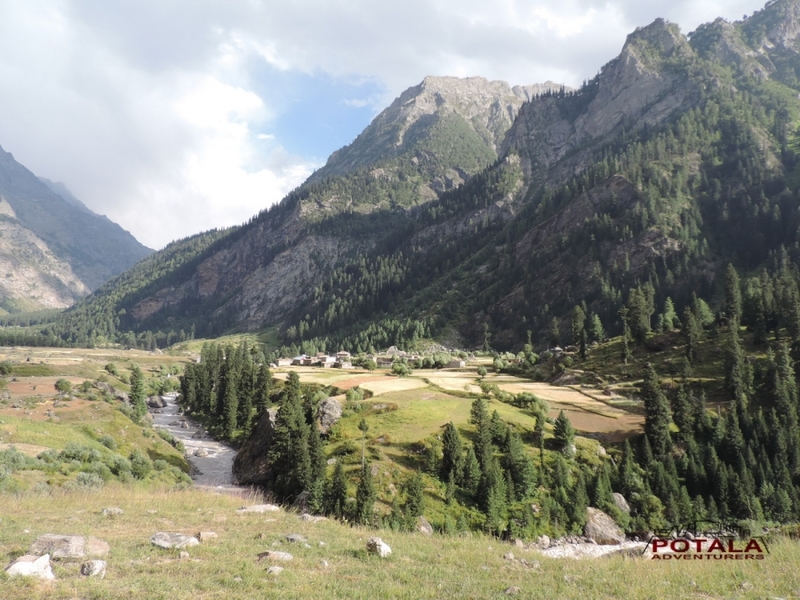 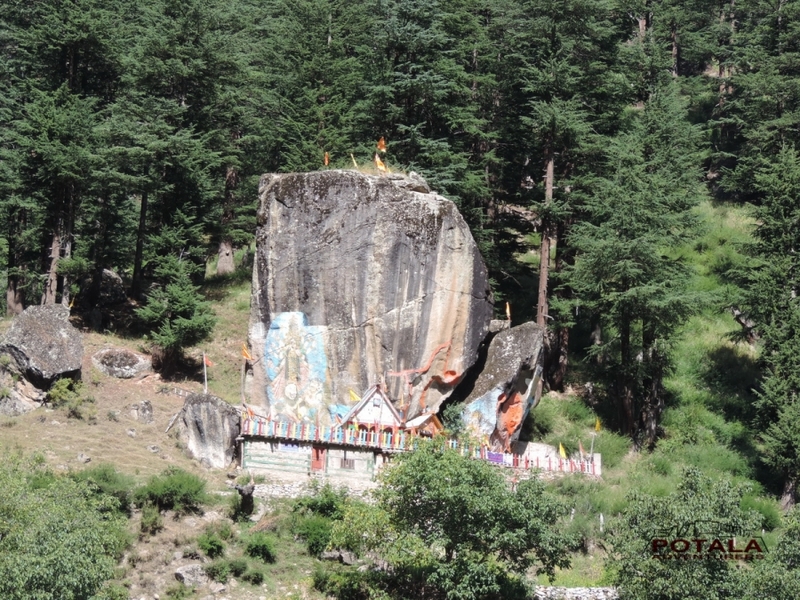 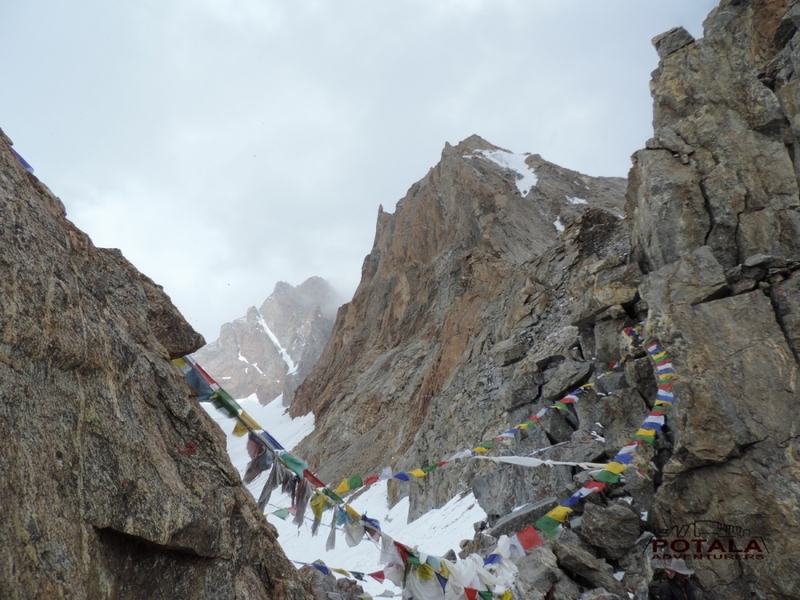 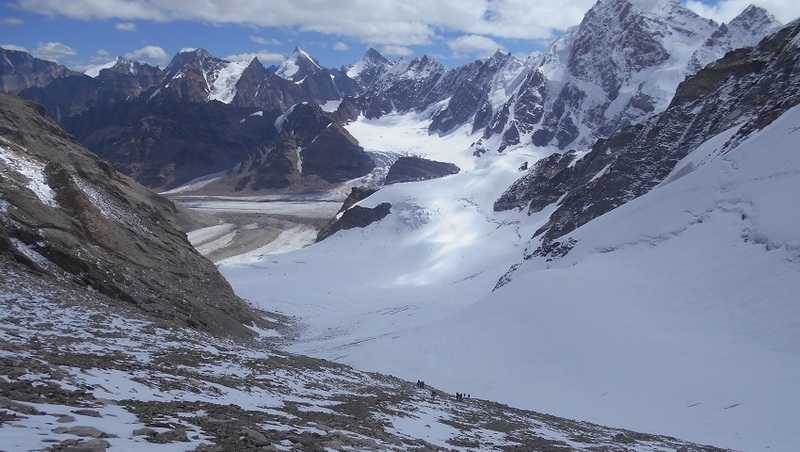 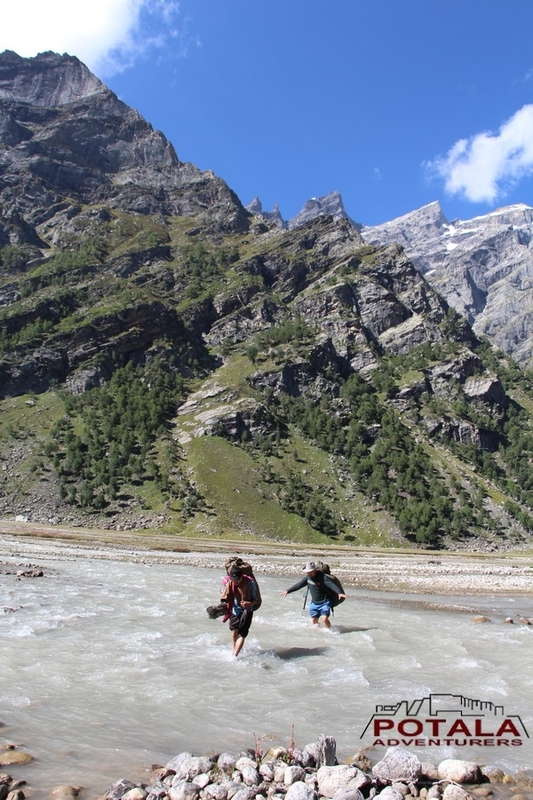 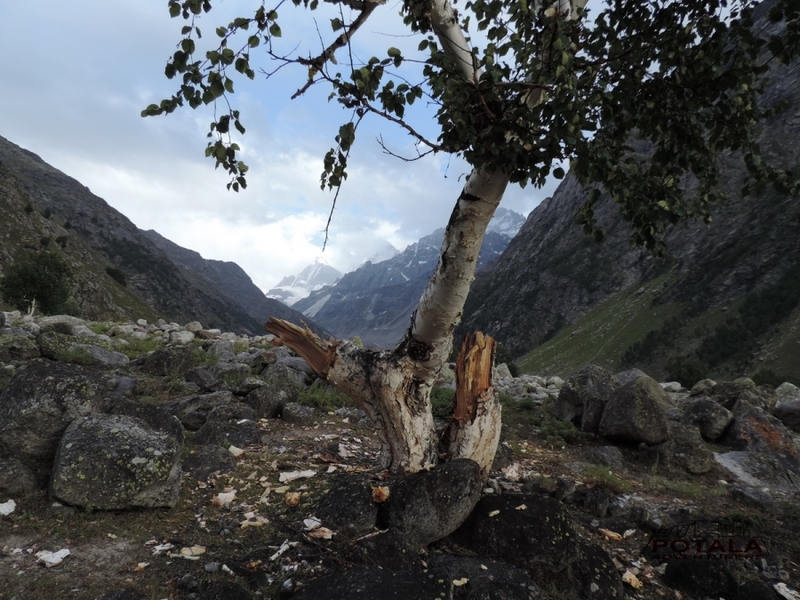 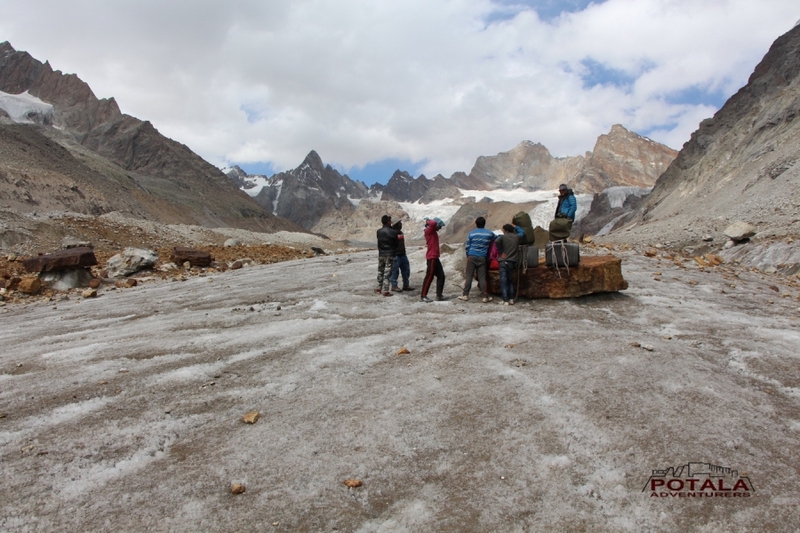 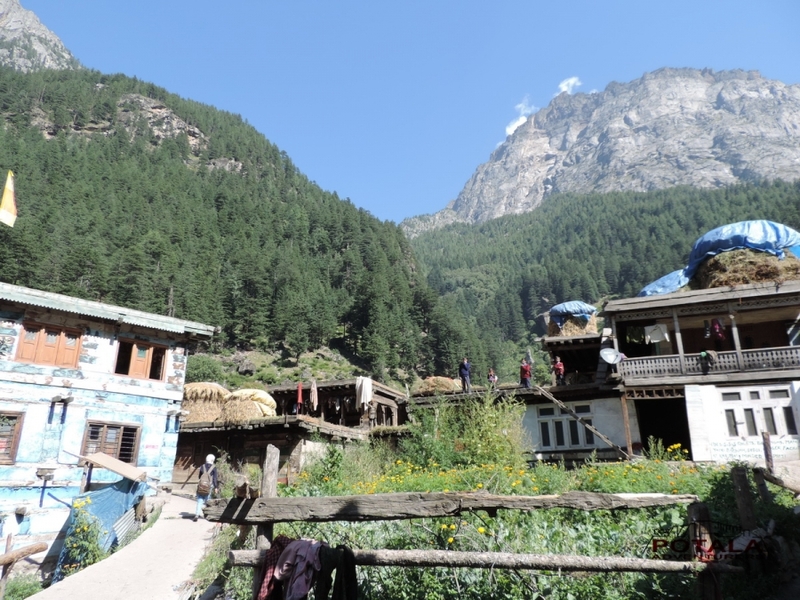 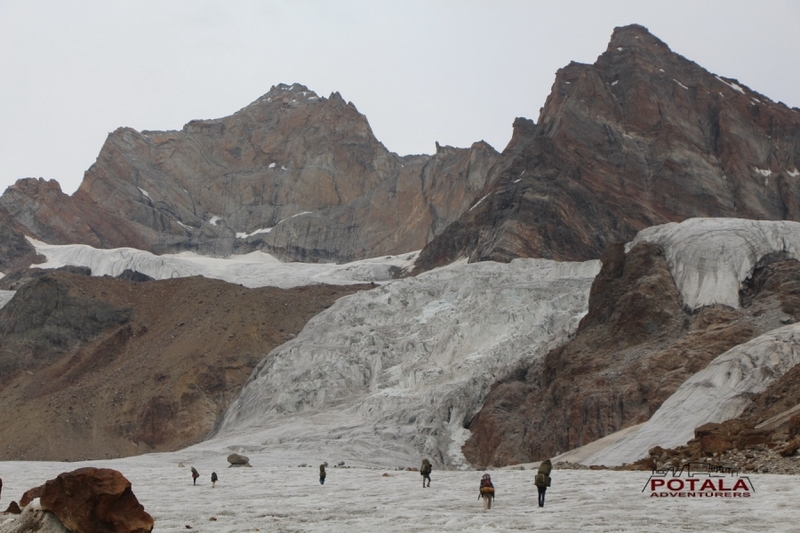 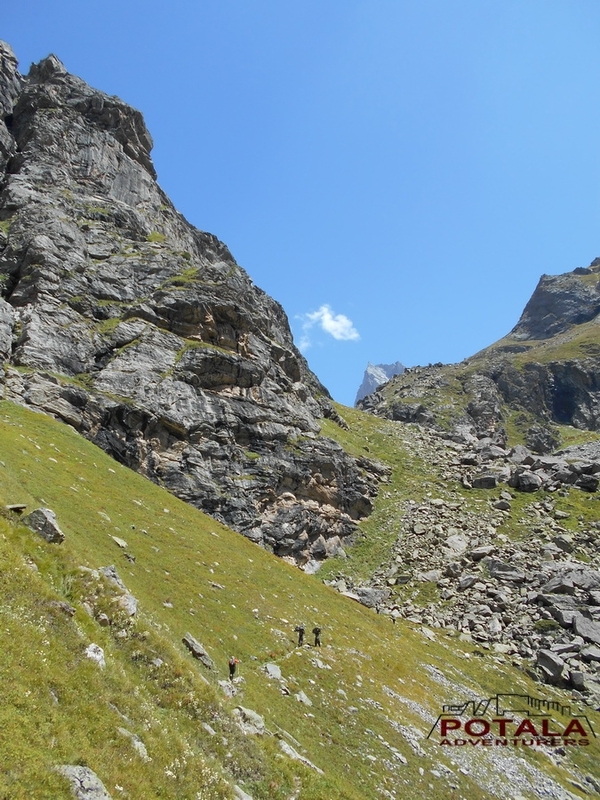 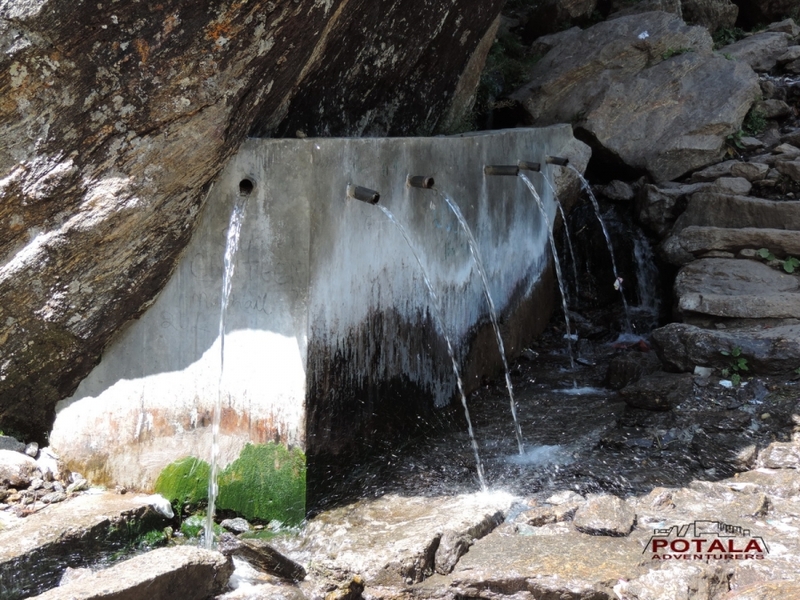 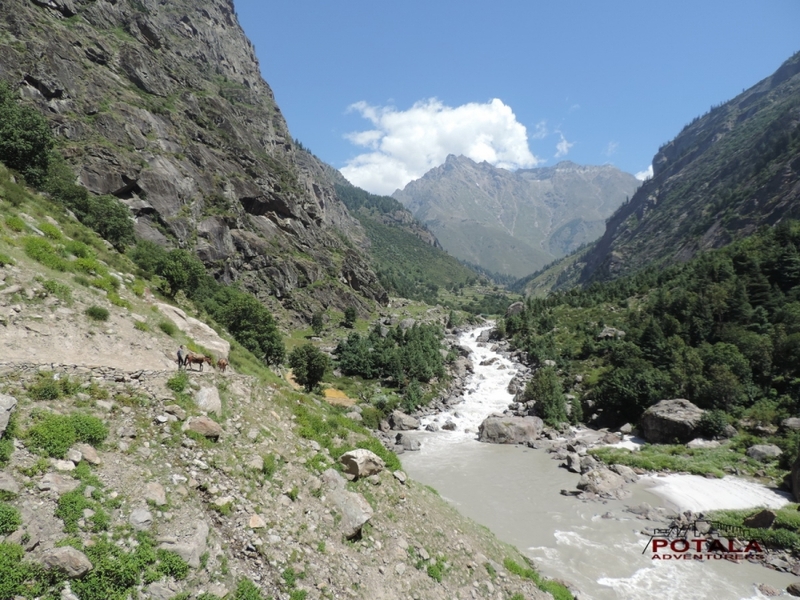 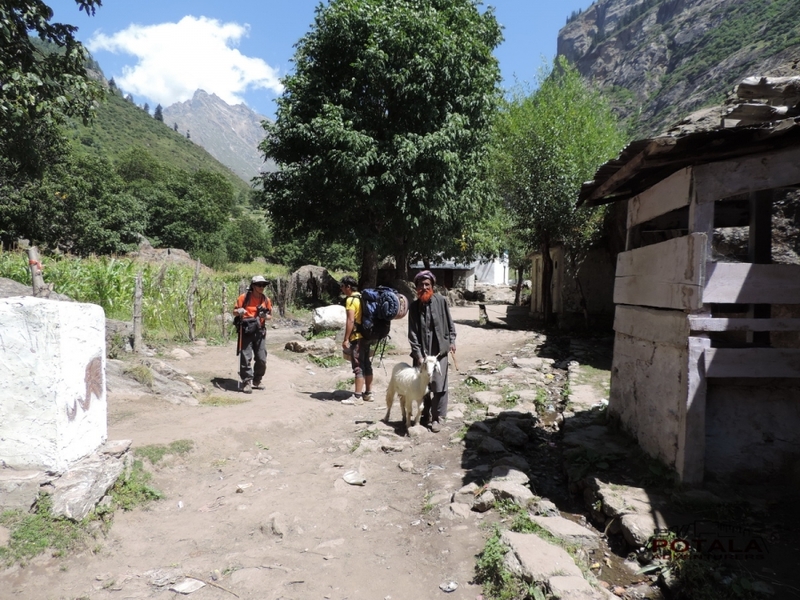 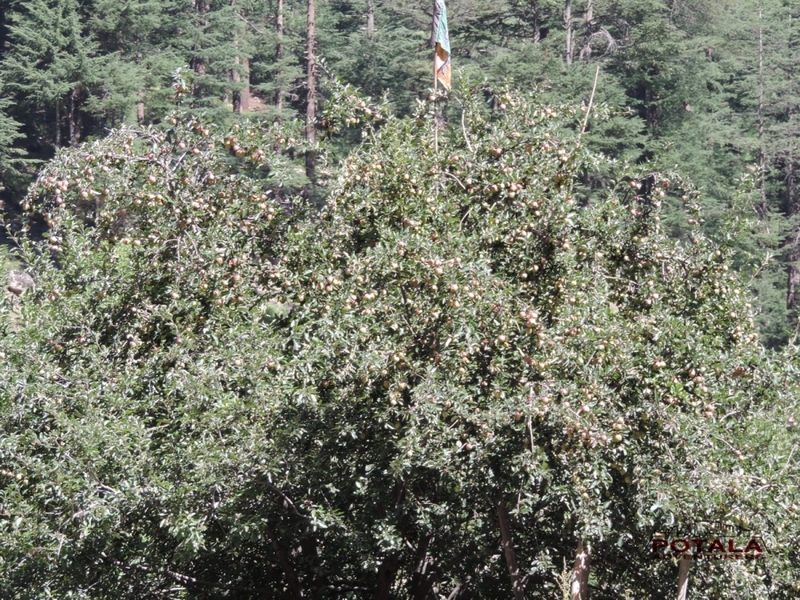 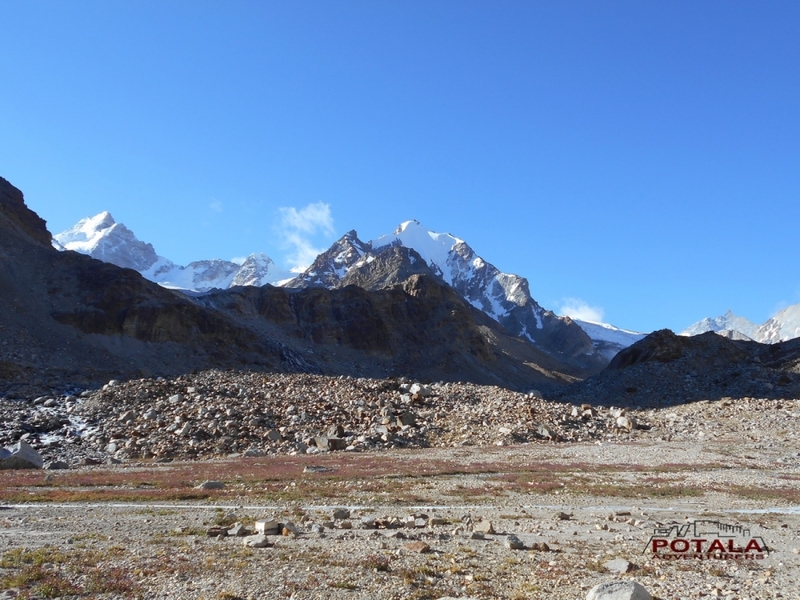 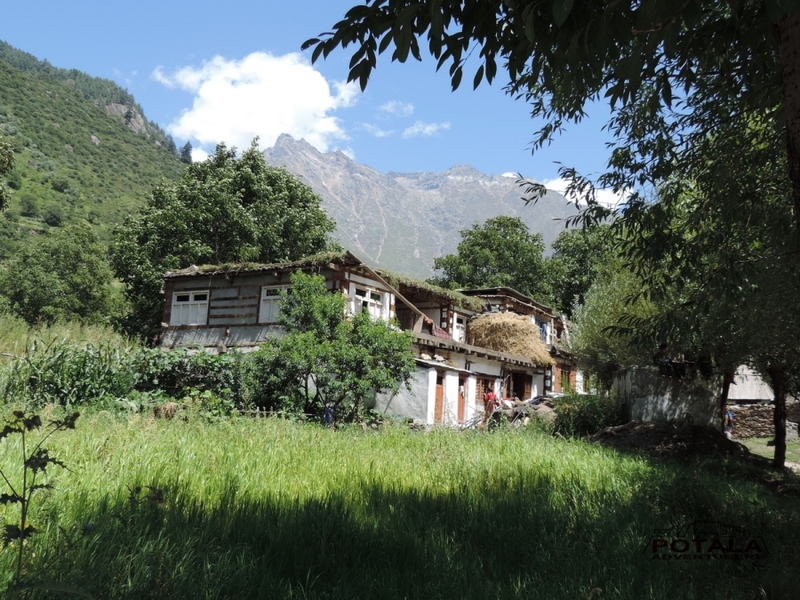 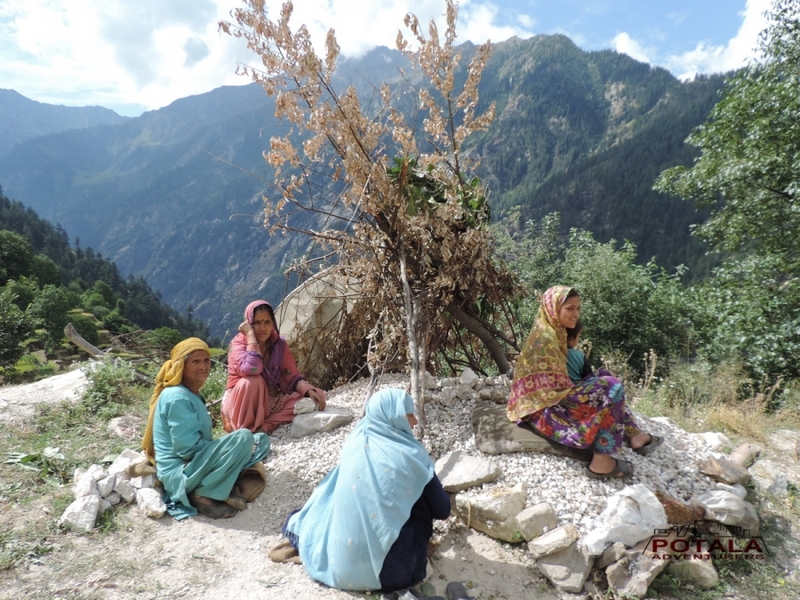 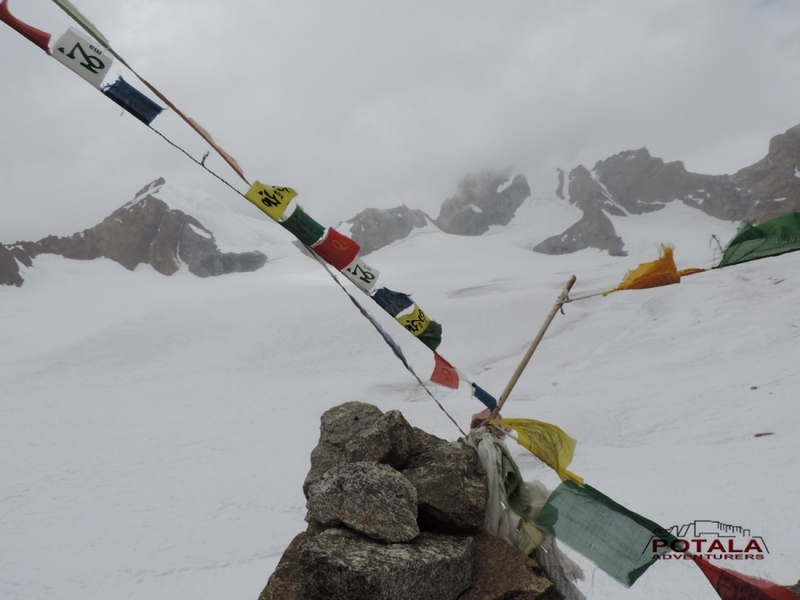 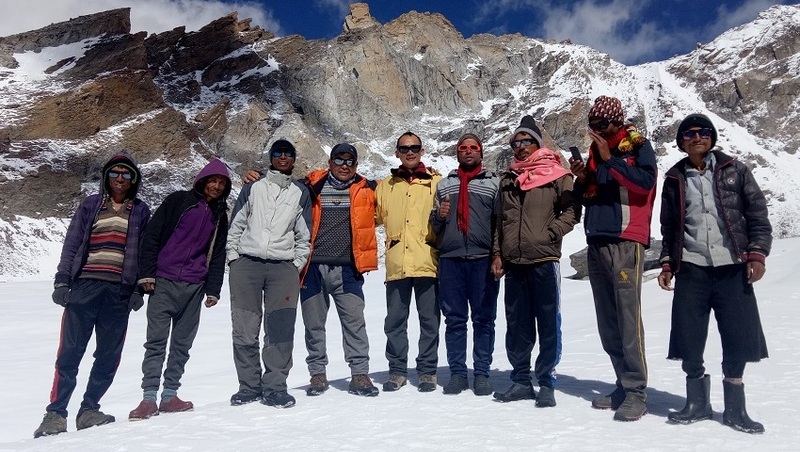 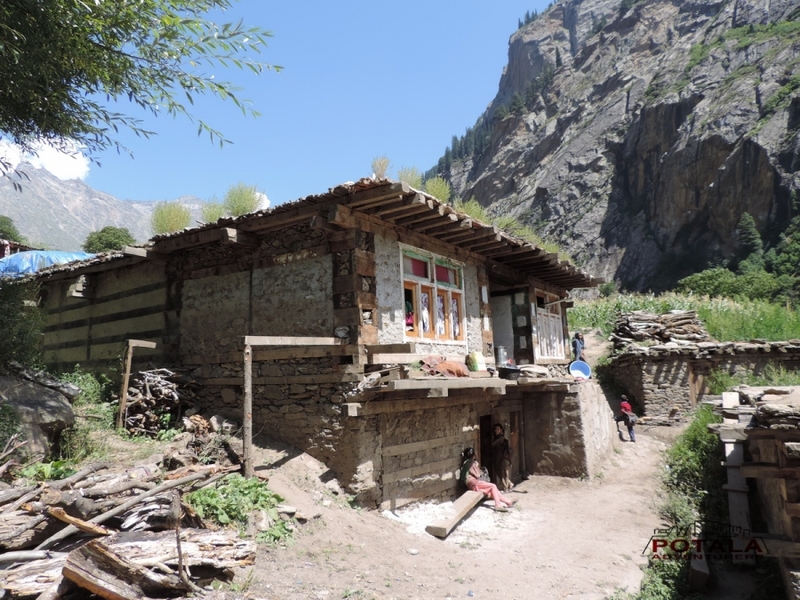 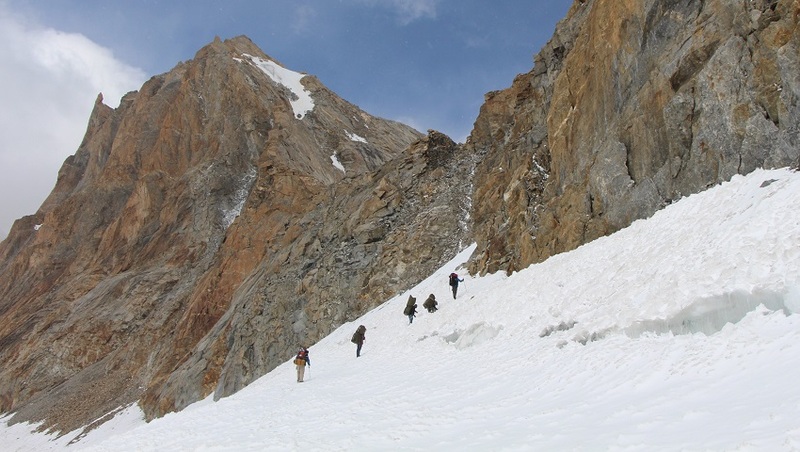 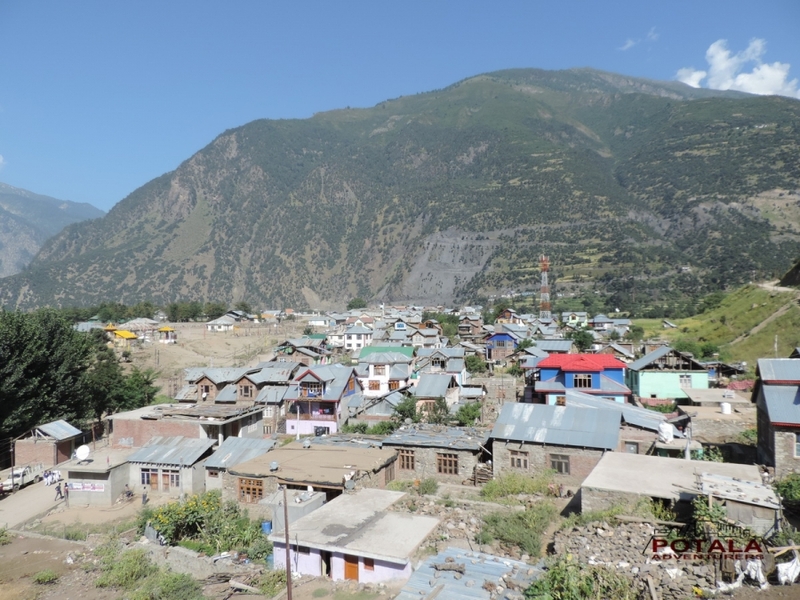 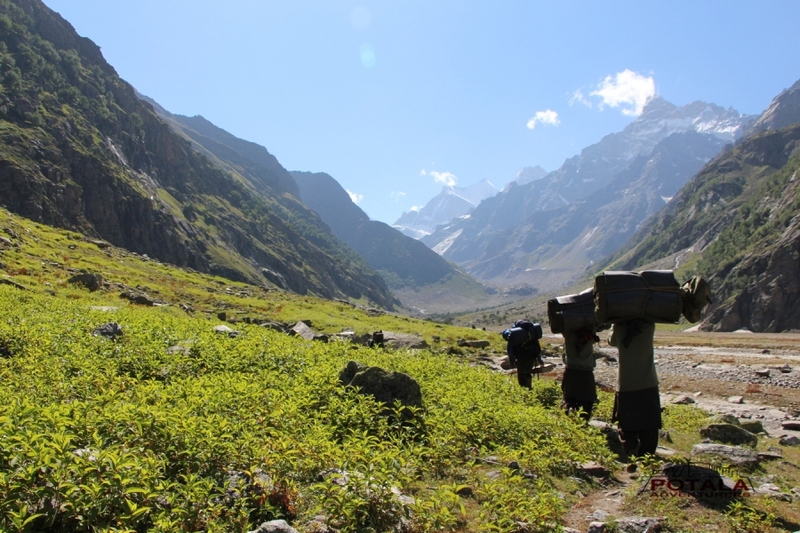 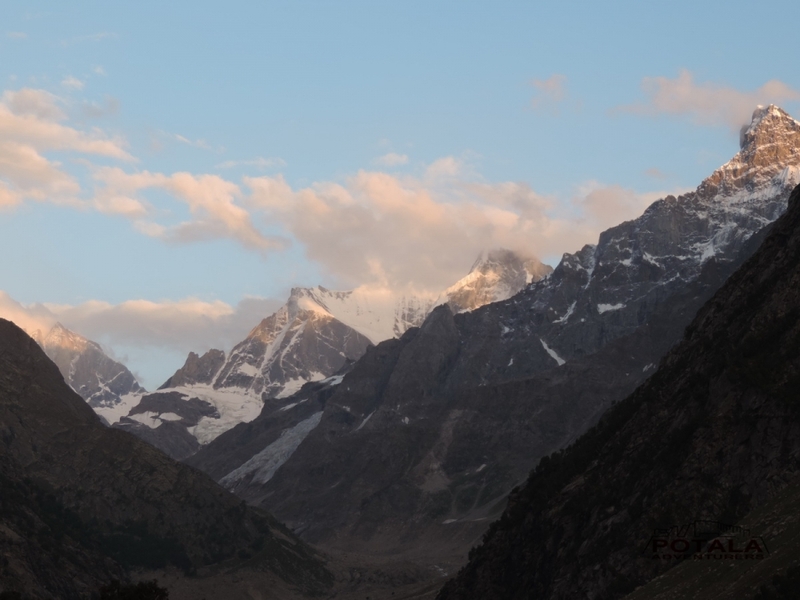 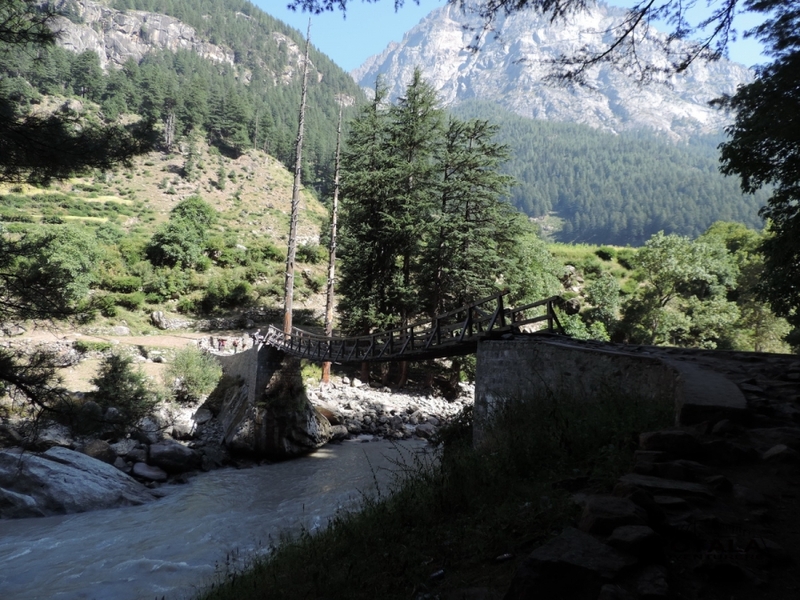 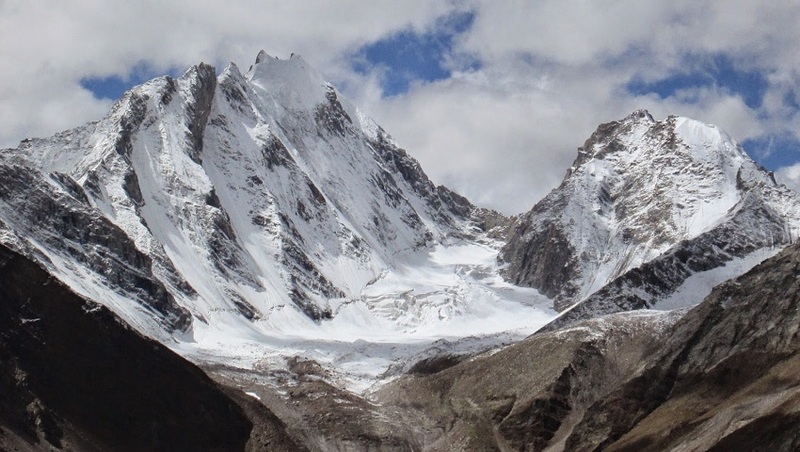 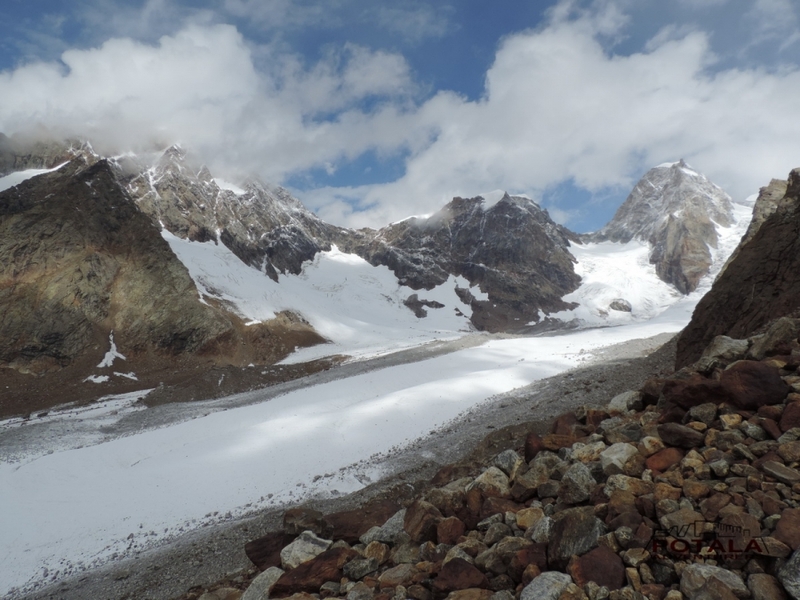 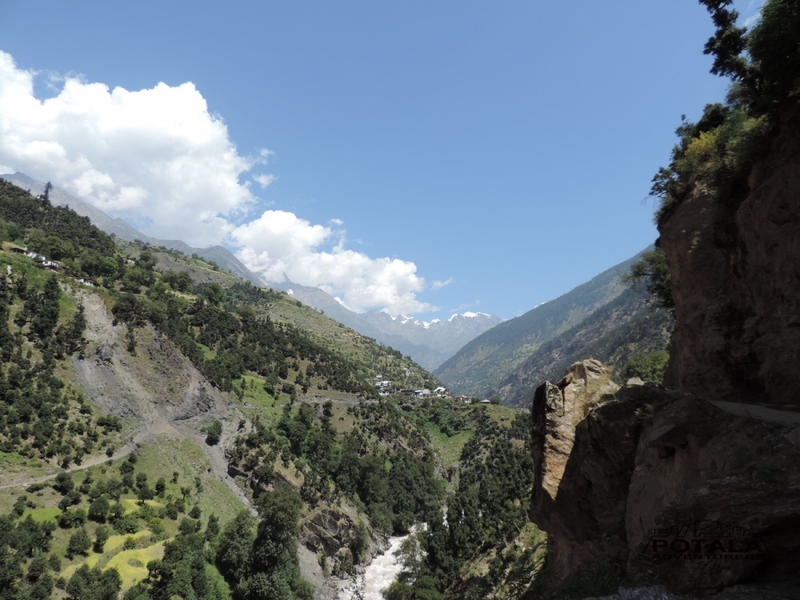 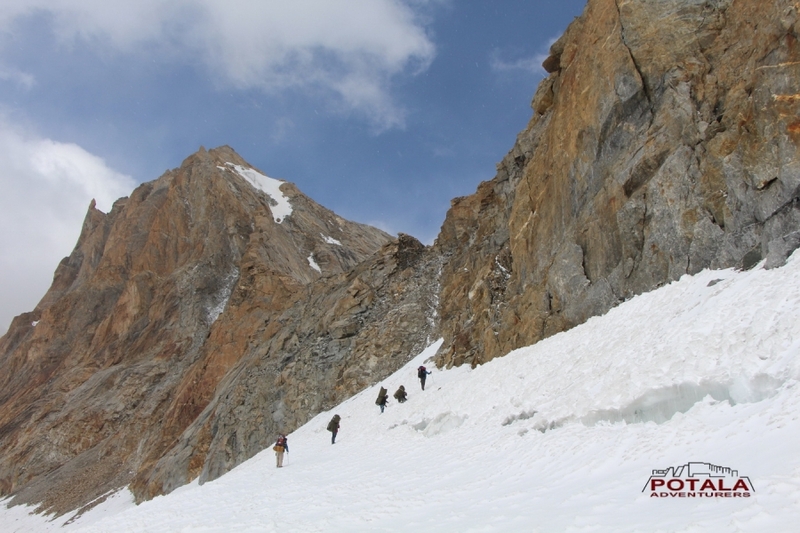 After Suncham we trek beneath the Kishtwar Shivling and camp in beautiful vast alpine meadows. 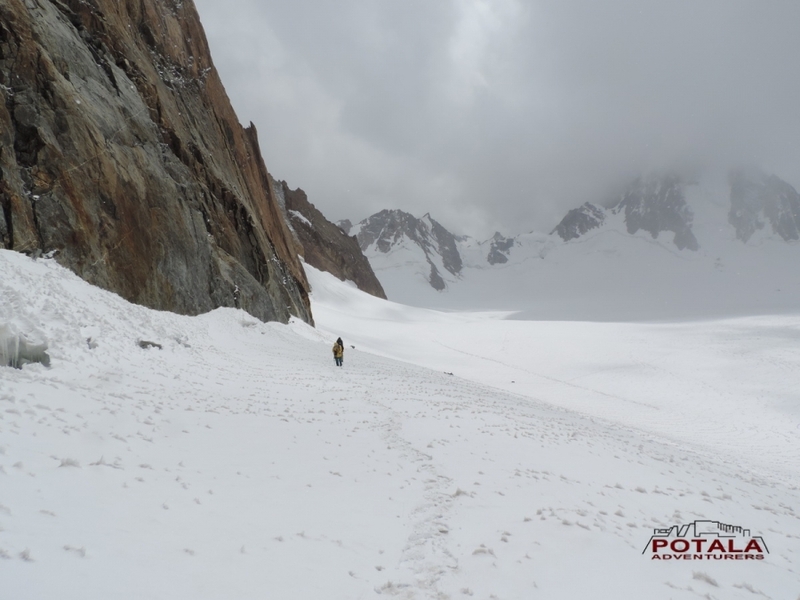 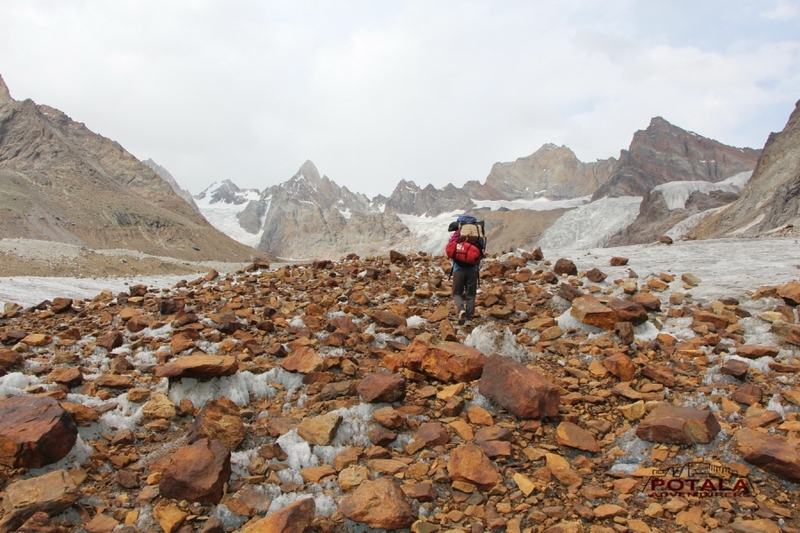 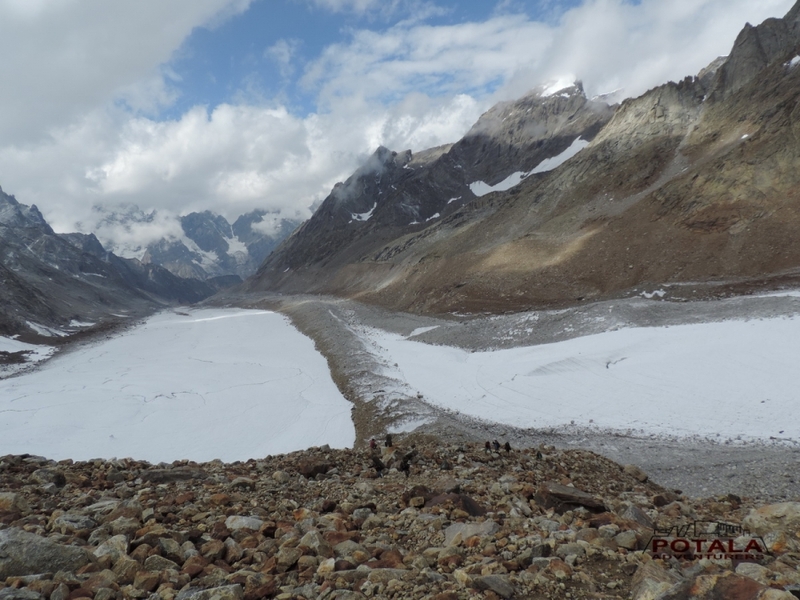 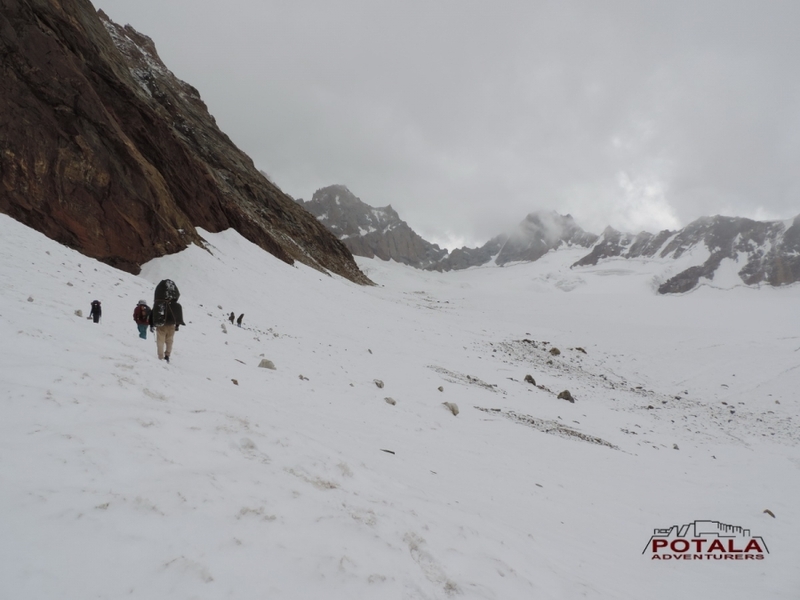 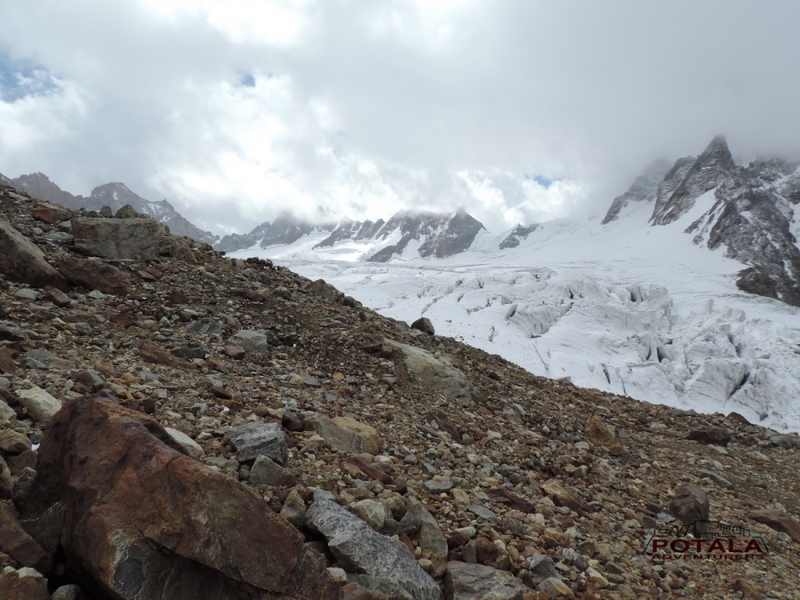 Taking on left steep ascent towards hanging valley through boulder, rocks, moraine and then long glacier to beneath the huge rock which has a huge cave mostly used by Paddari and Zanskari people for a overnight shelter for next day early crossing of Umasi La pass. 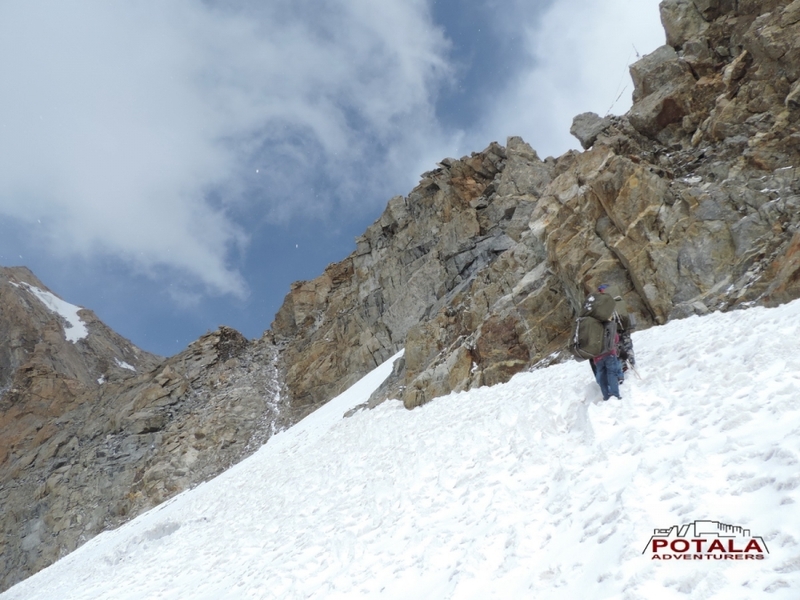 After crossing large ice and snow field arrival at tiny corridor - Umasi La pass at the edge of rock wall. 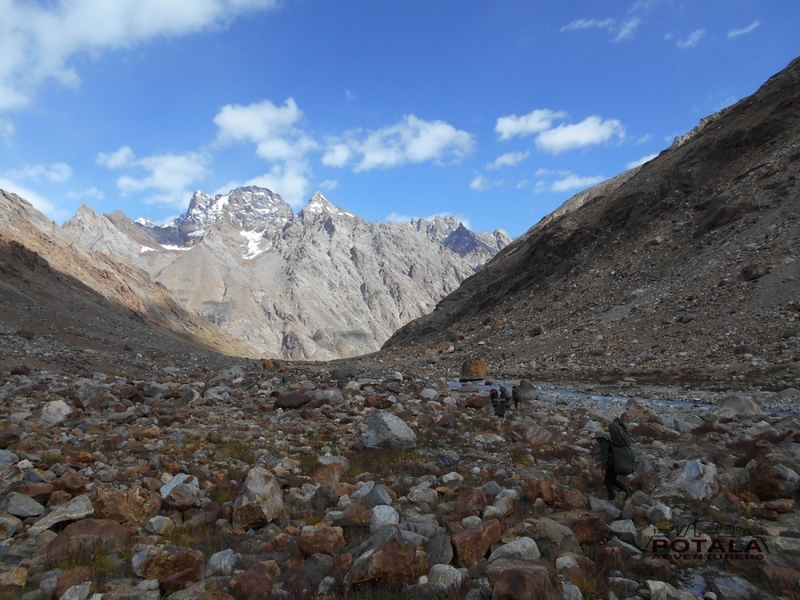 Steep descent through loose rocks and moraine to long glacier to the natural bridge. 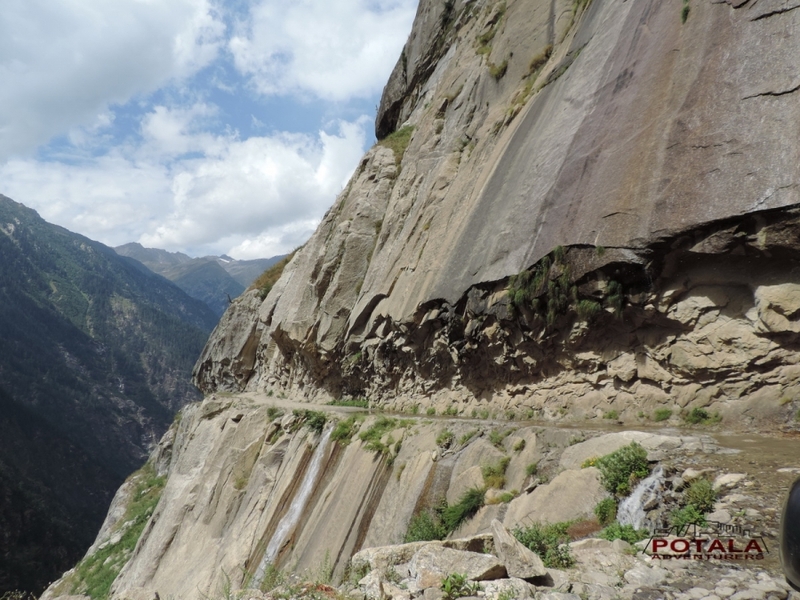 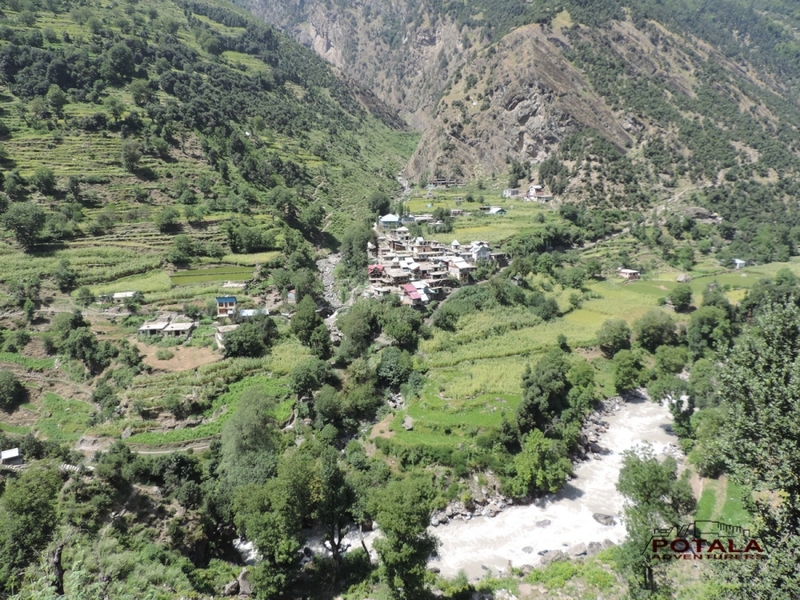 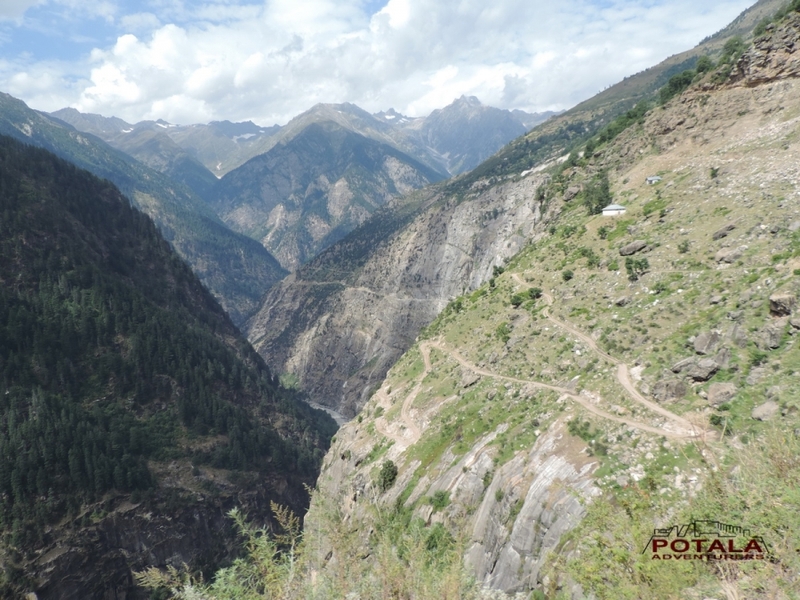 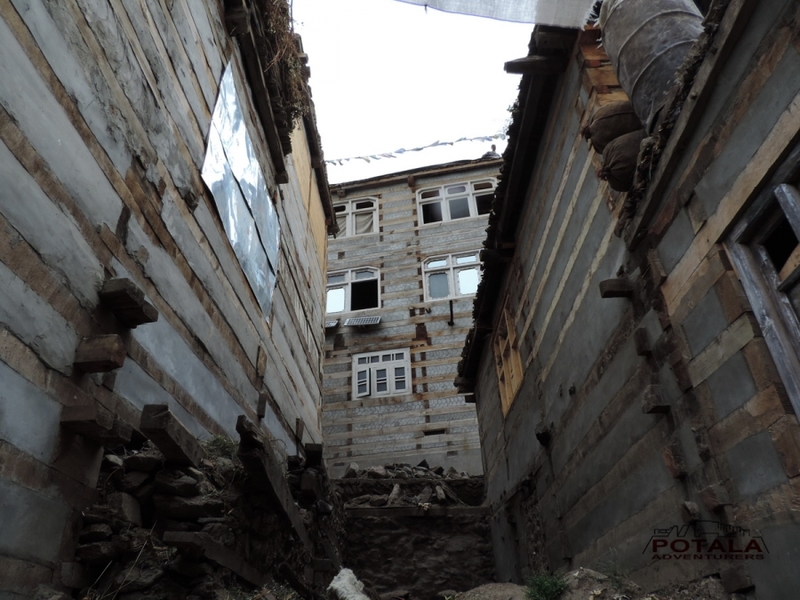 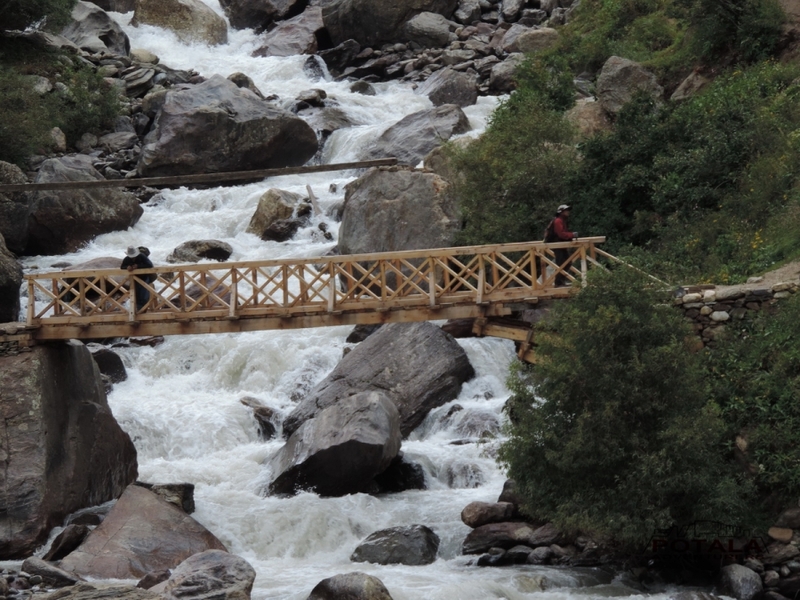 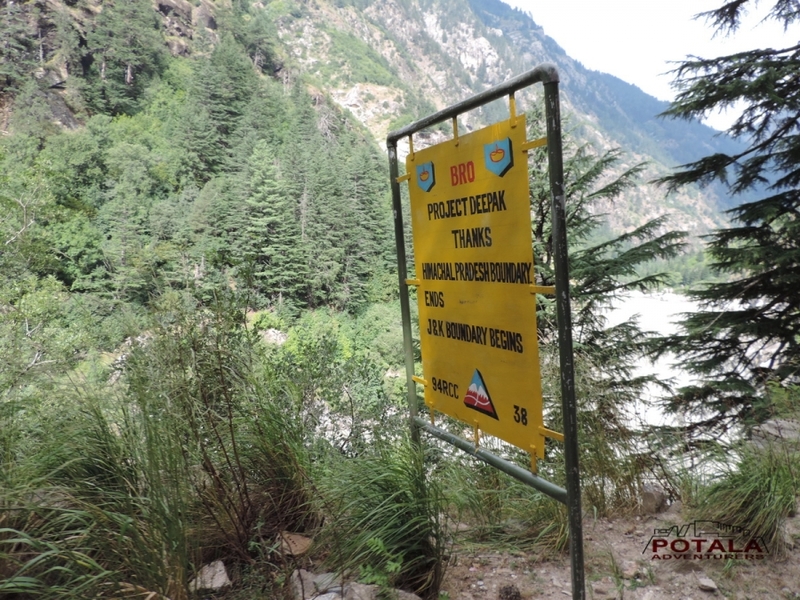 Than long descend along the stream and crossing it to Dzonkhul gompa road head finally. 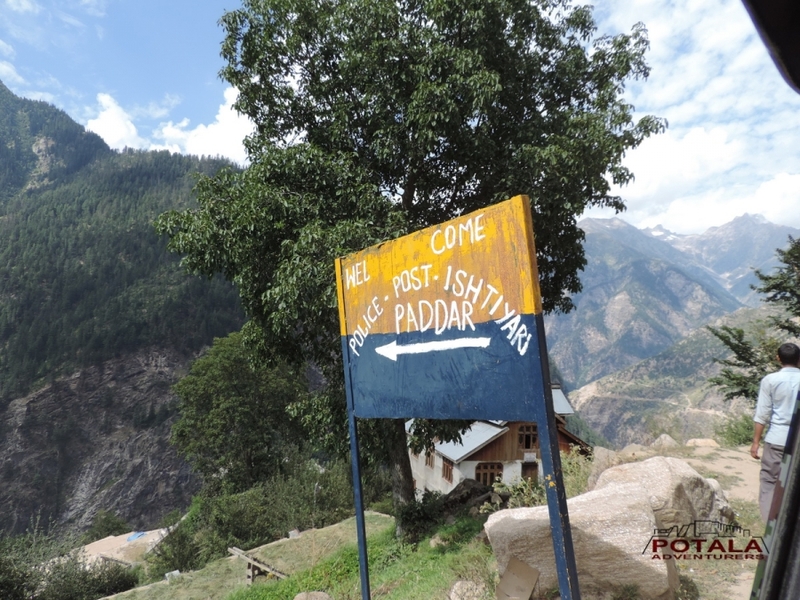 You will be driven to Ating and Padum. 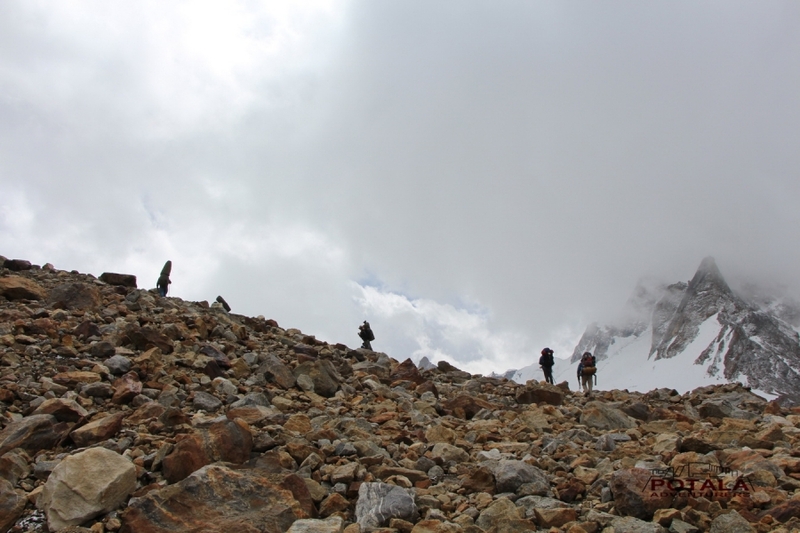 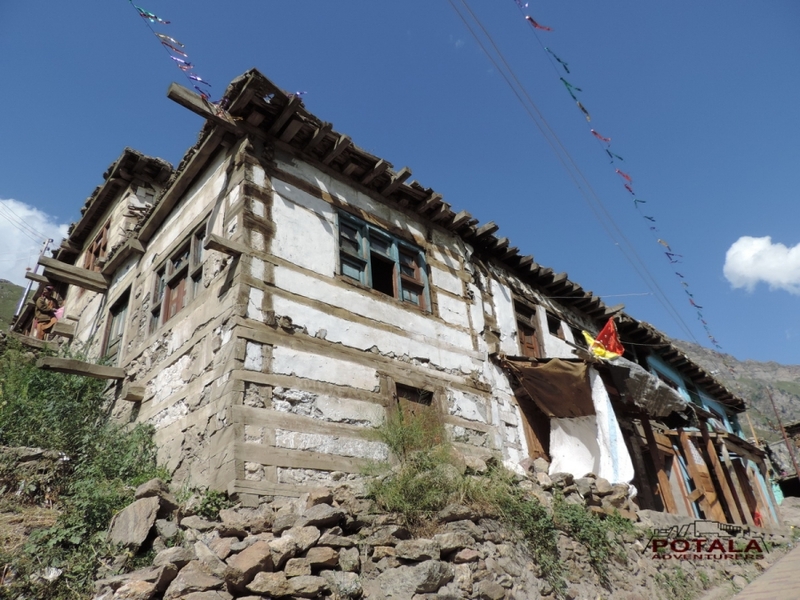 NOTE: To do Umasi La trek - one must have a experience of high altitude trek above 5000m. 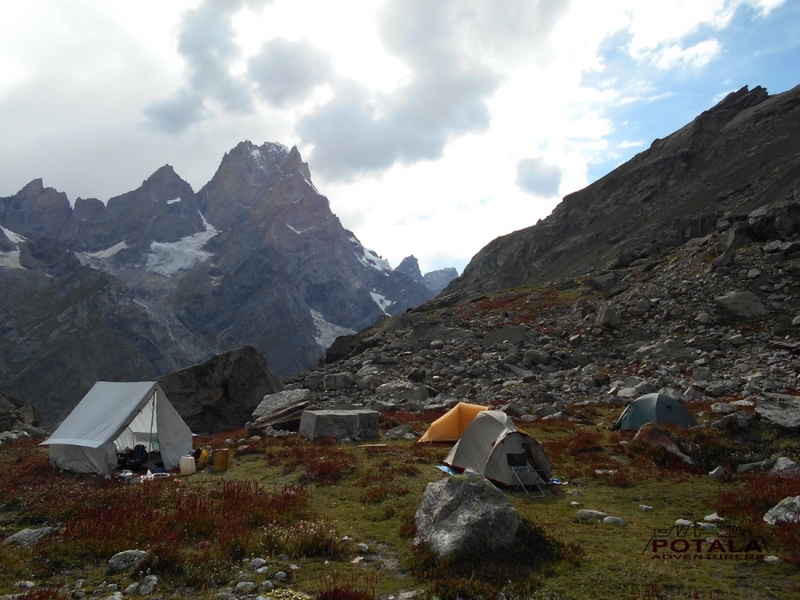 · All camping gear: Kitchen tent, cookware, stoves, fuel. 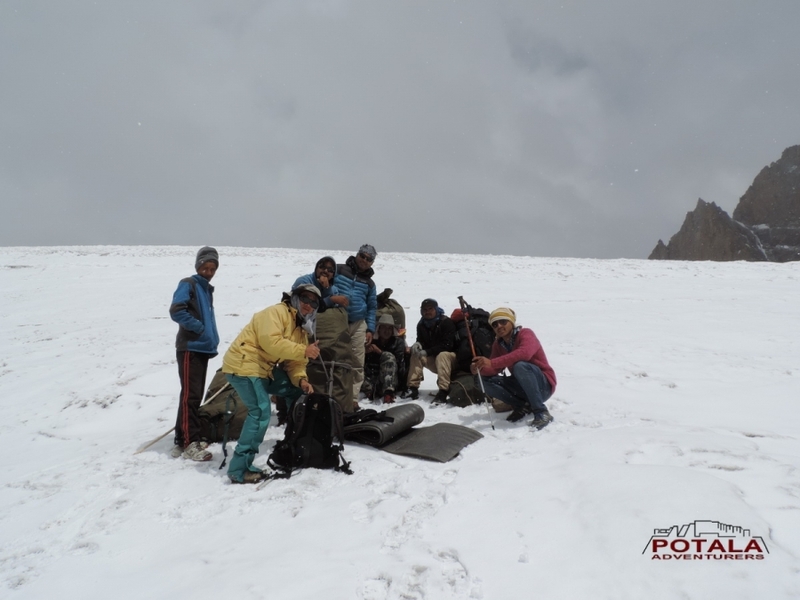 4 season tents,foam mattress, trekking poles & safety gears. 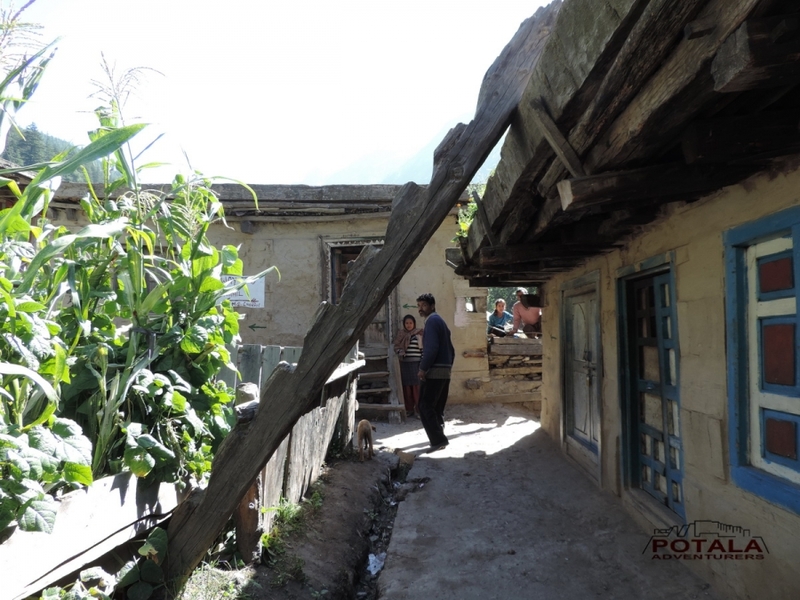 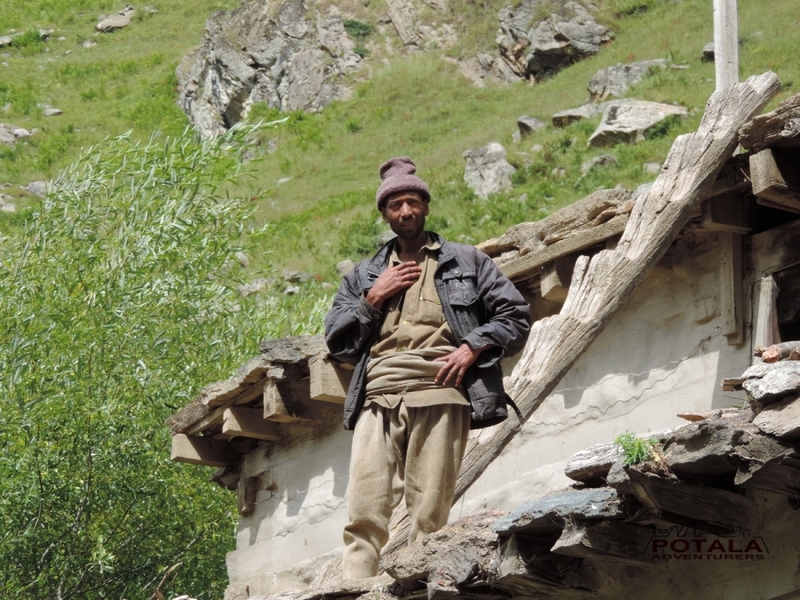 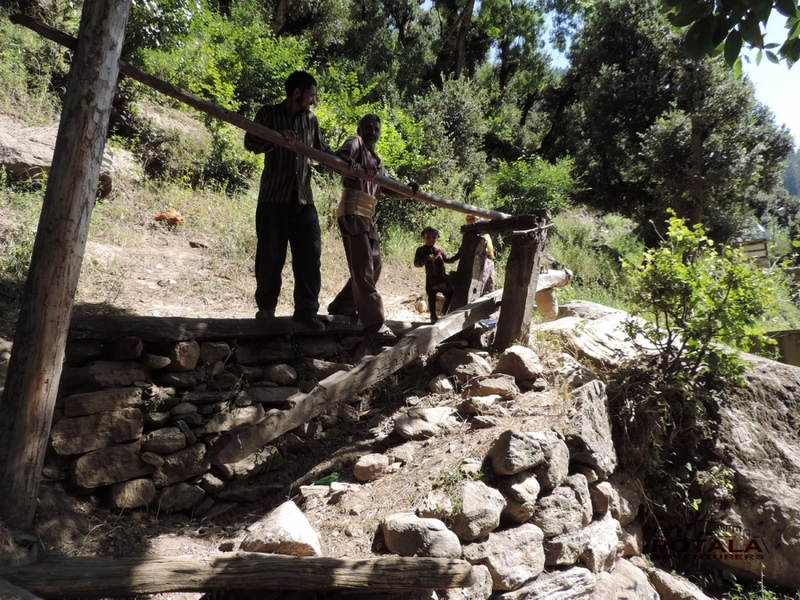 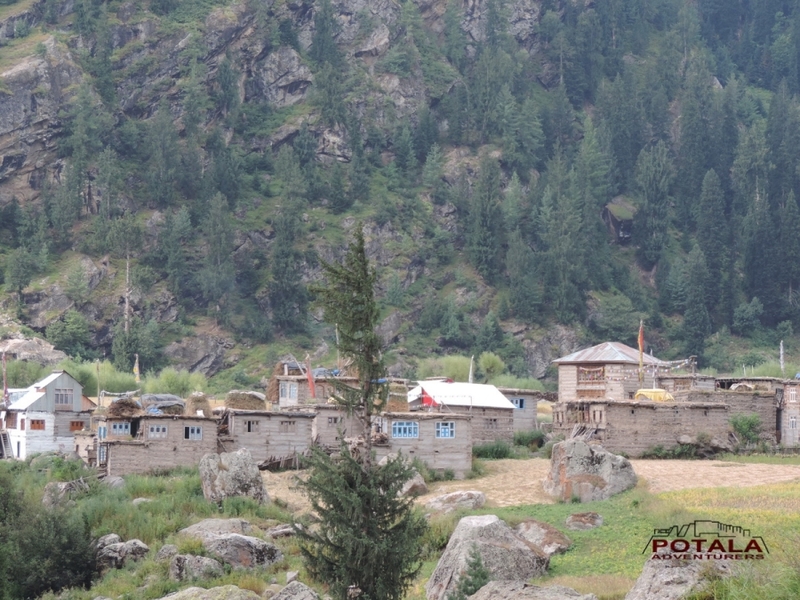 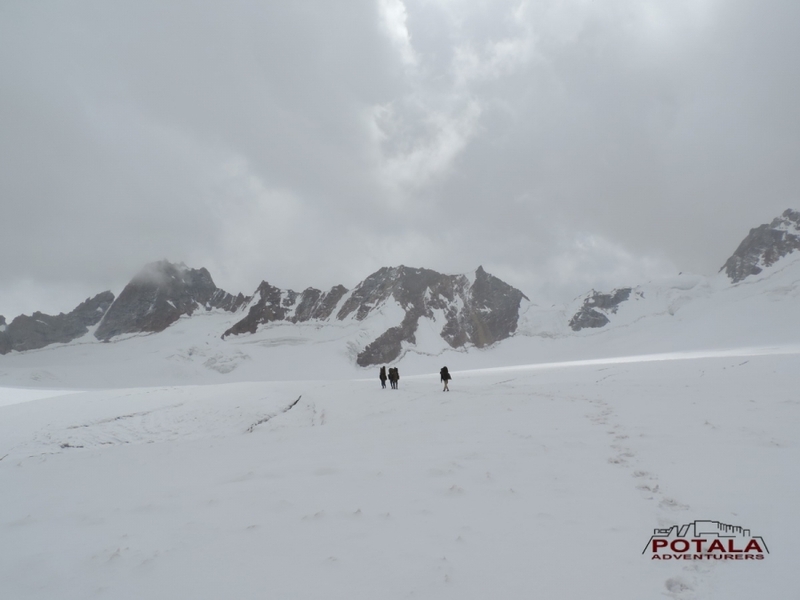 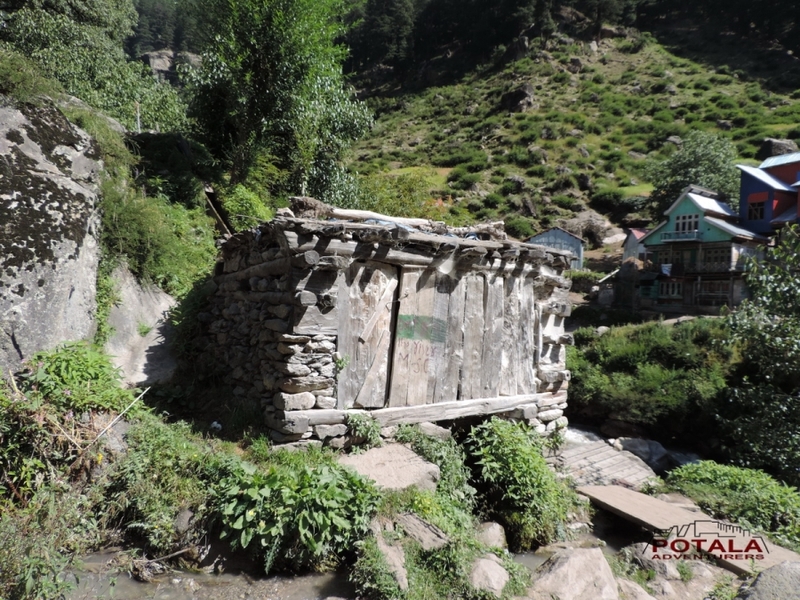 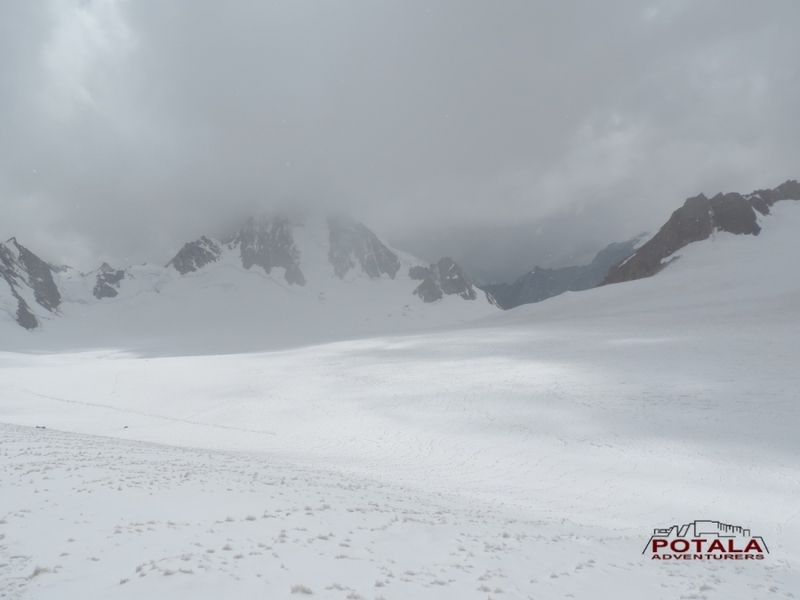 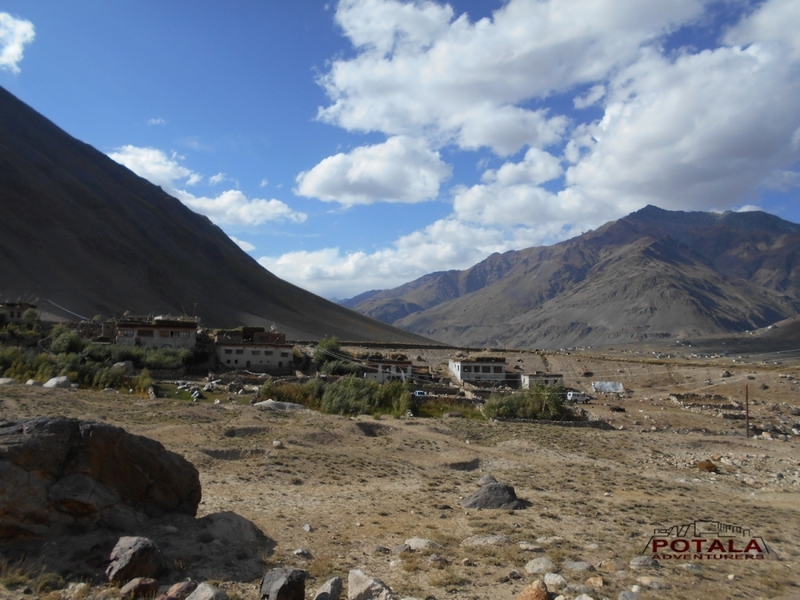 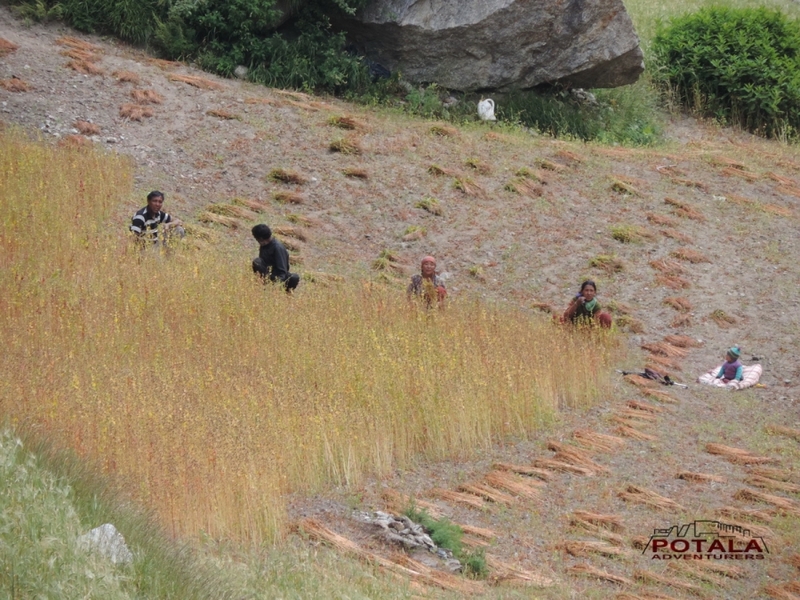 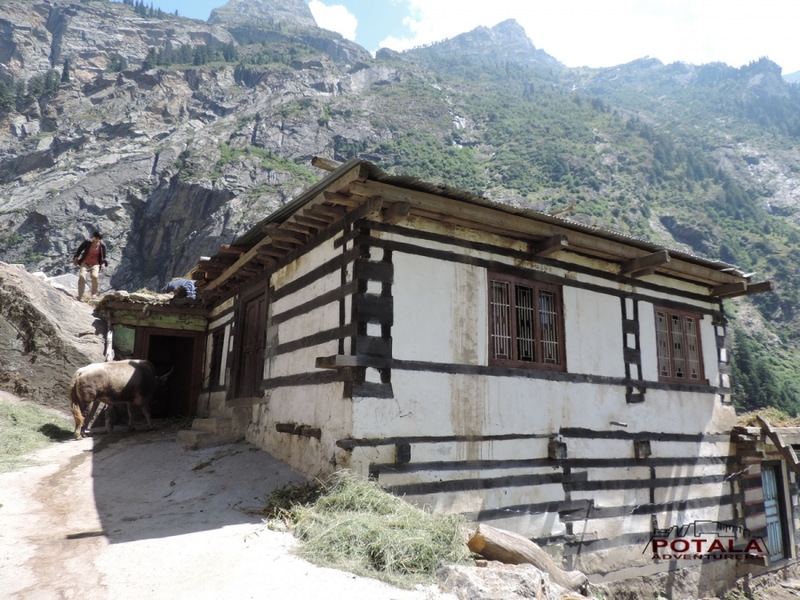 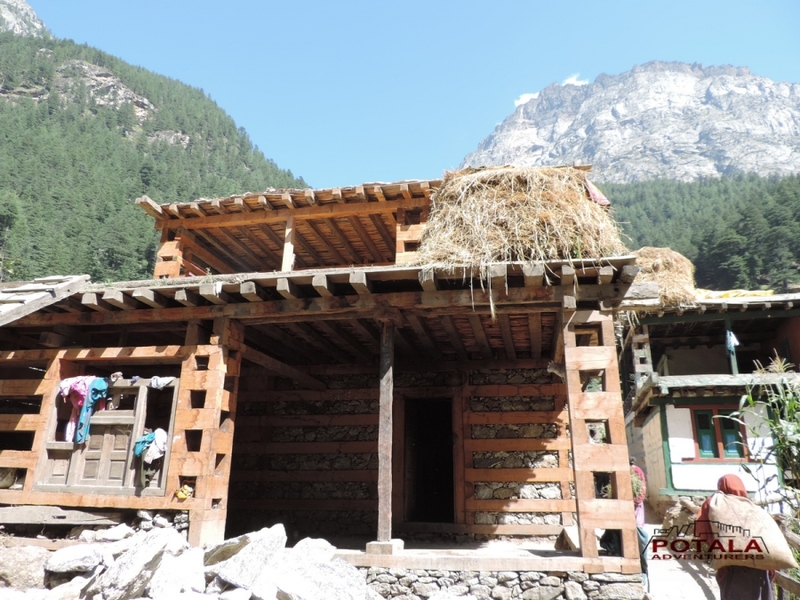 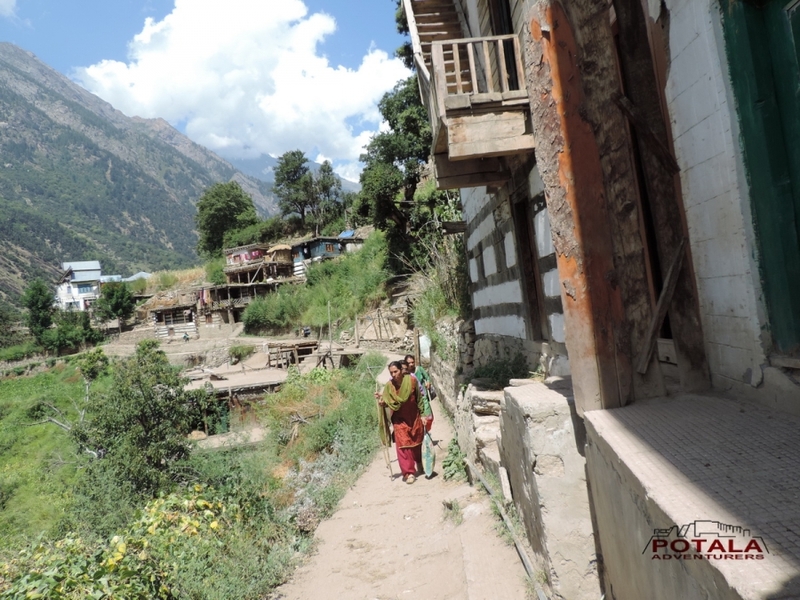 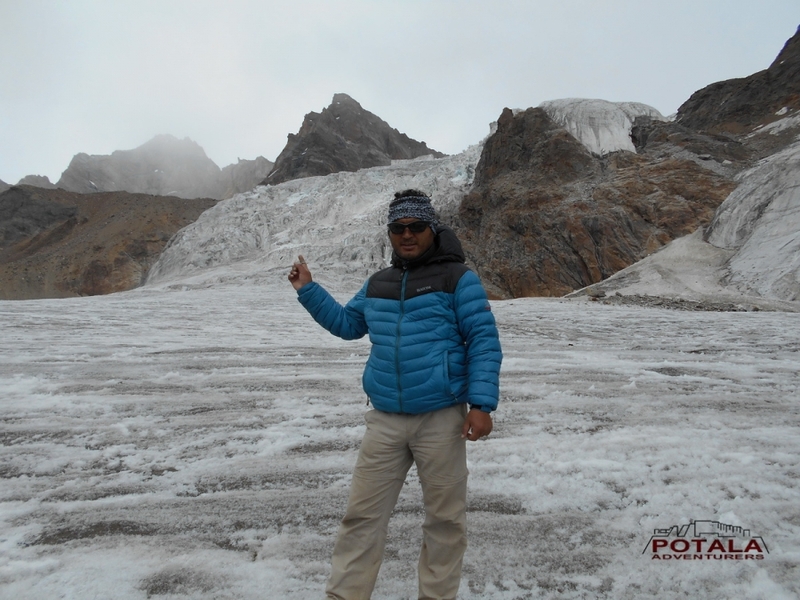 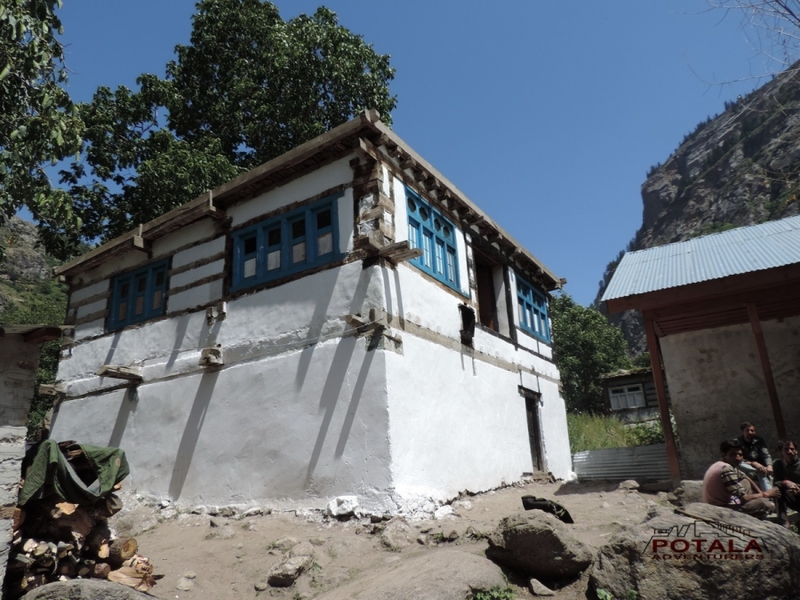 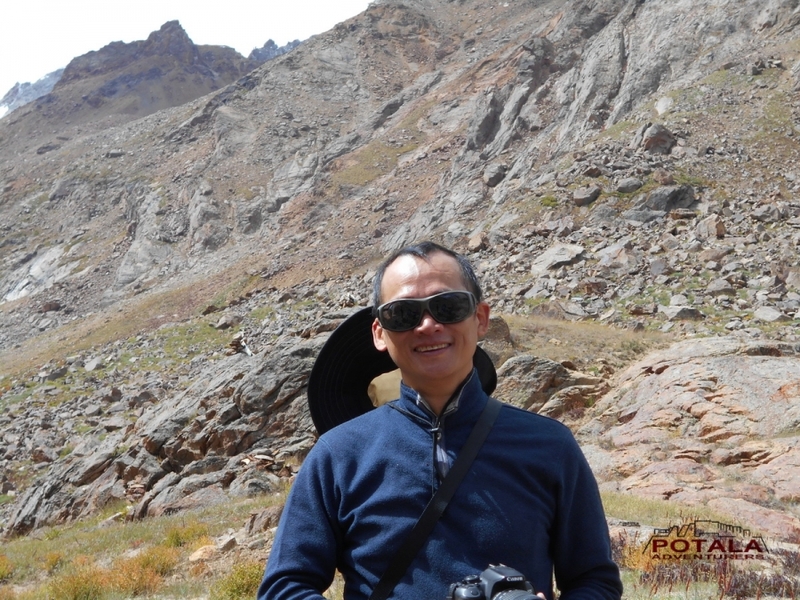 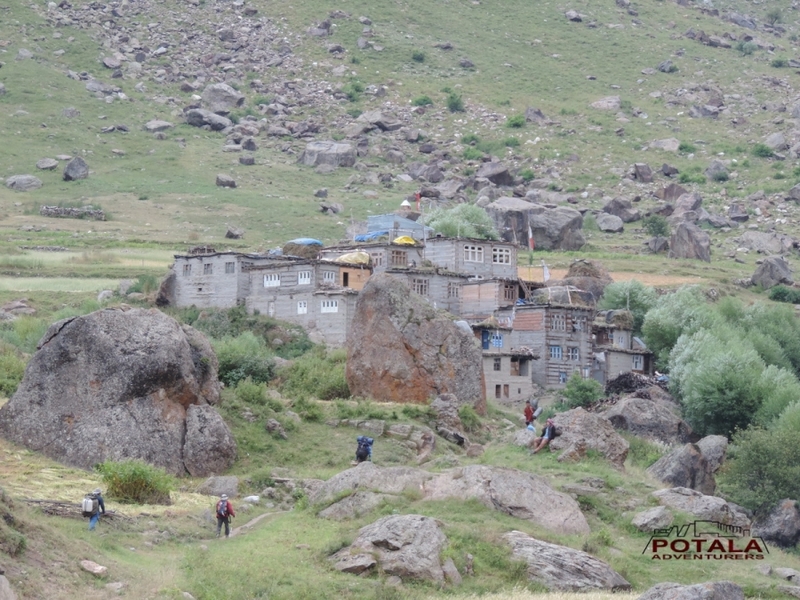 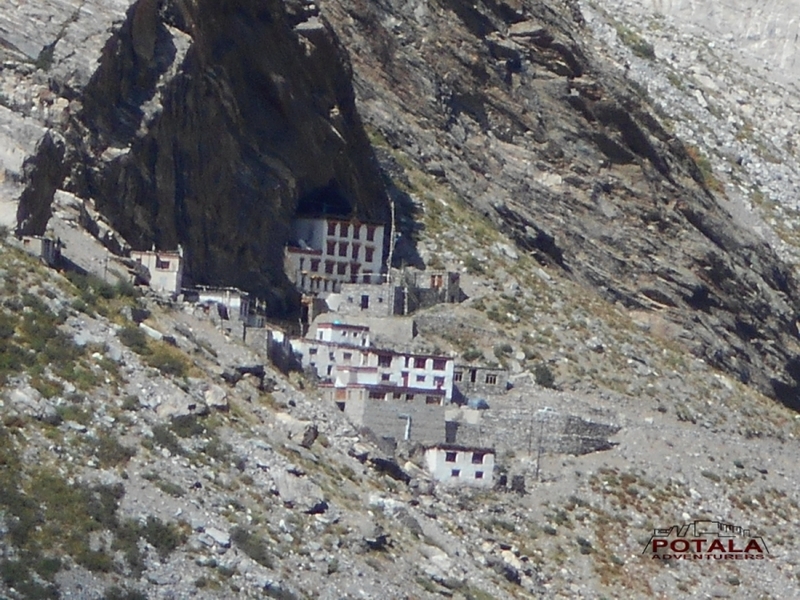 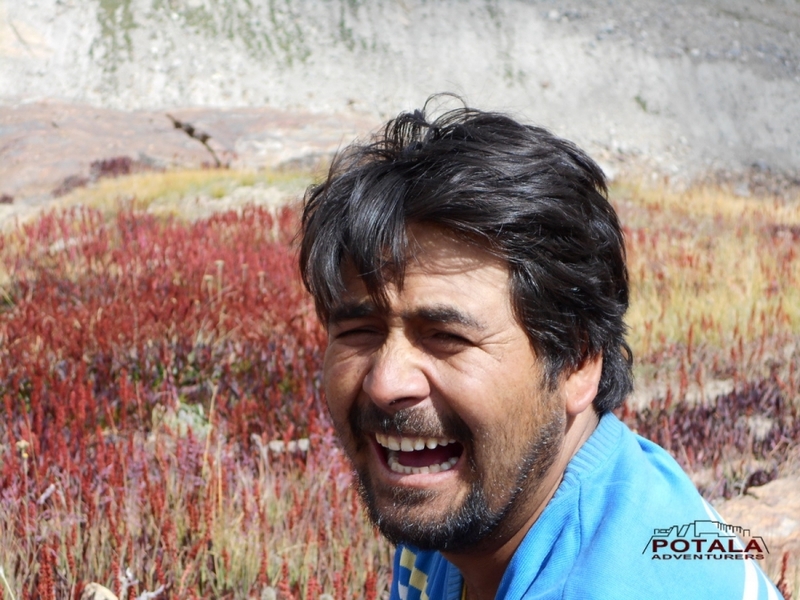 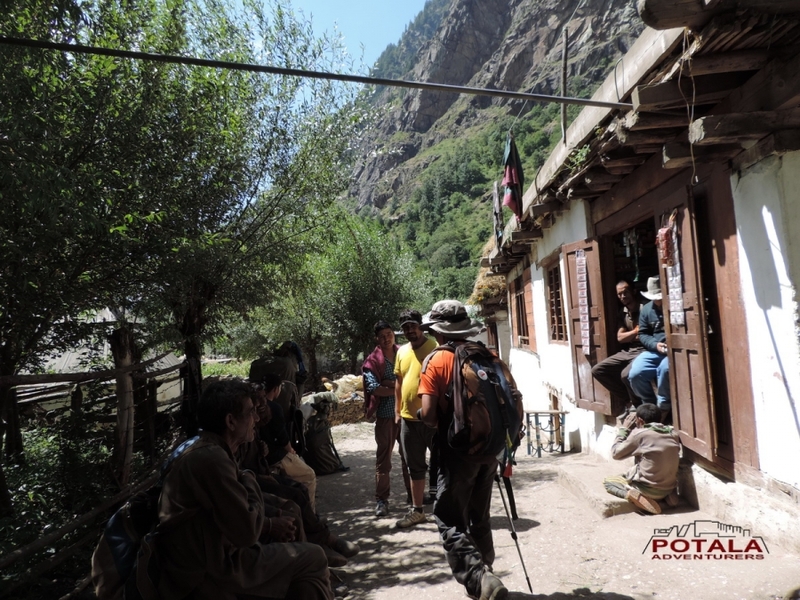 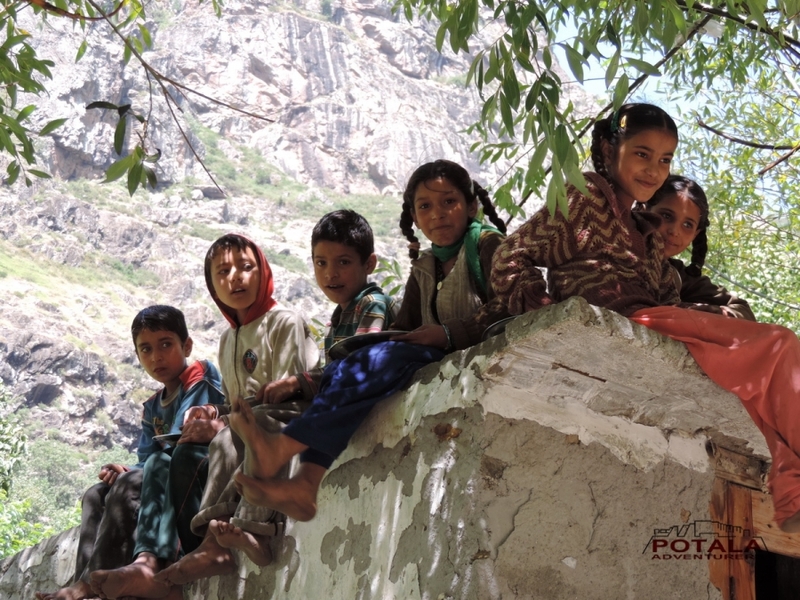 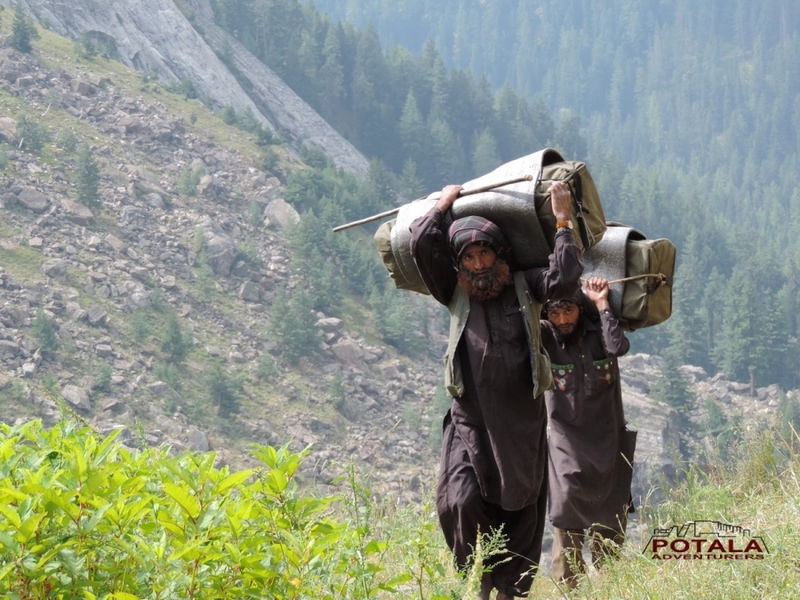 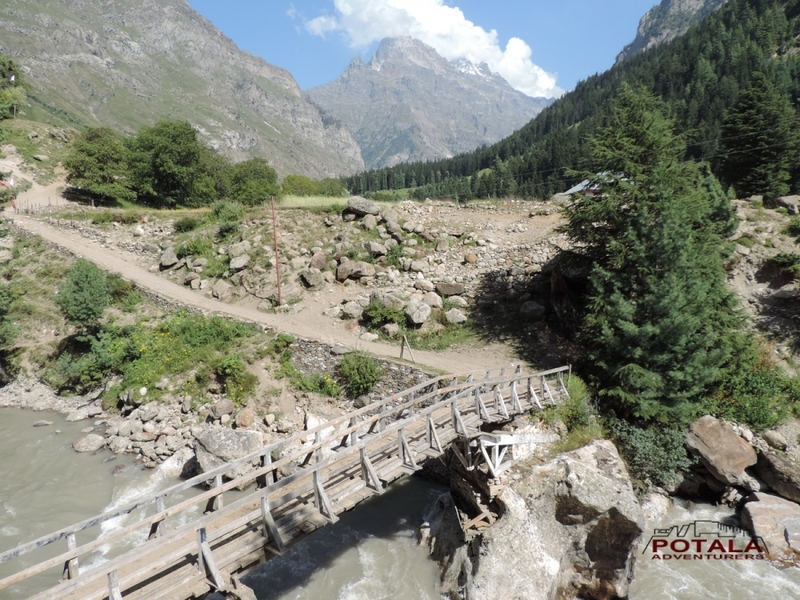 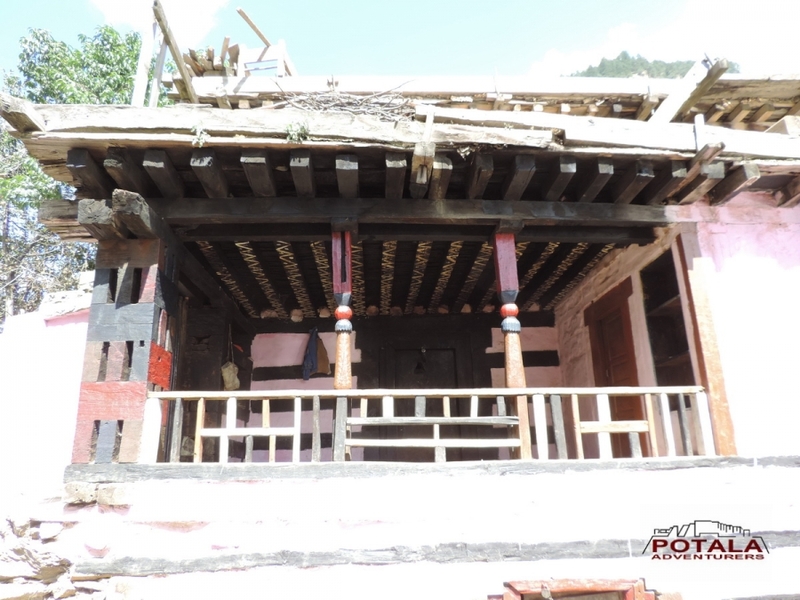 · Porters for porterage of trekking gear & food items. 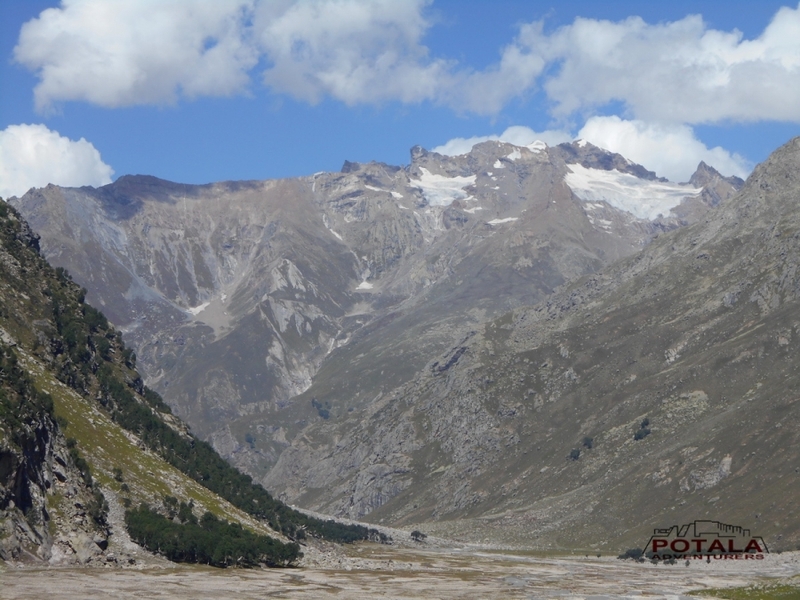 · Camping fee, trekking permits and park fee. 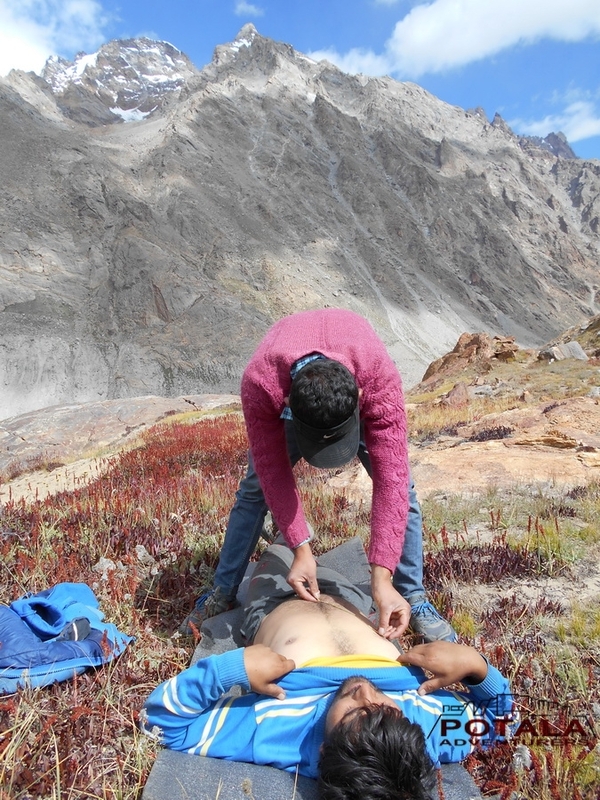 · Medical first aid basic kit. 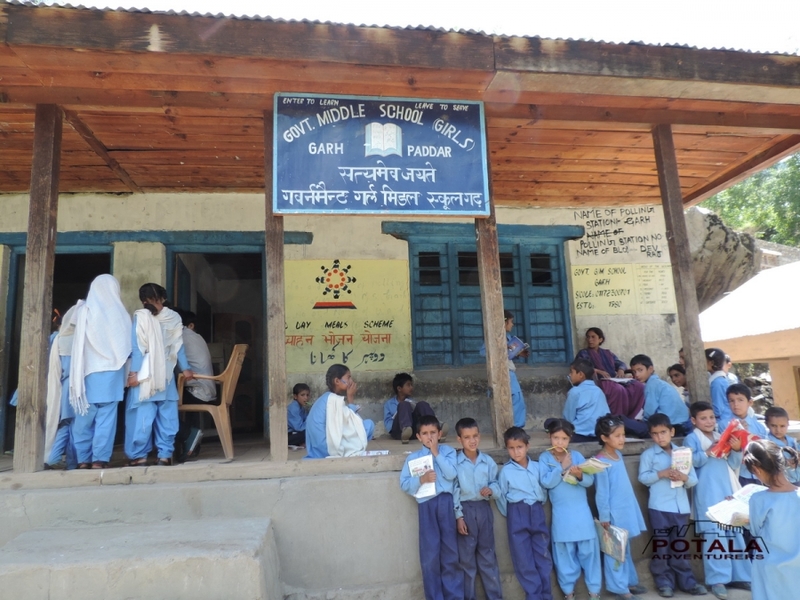 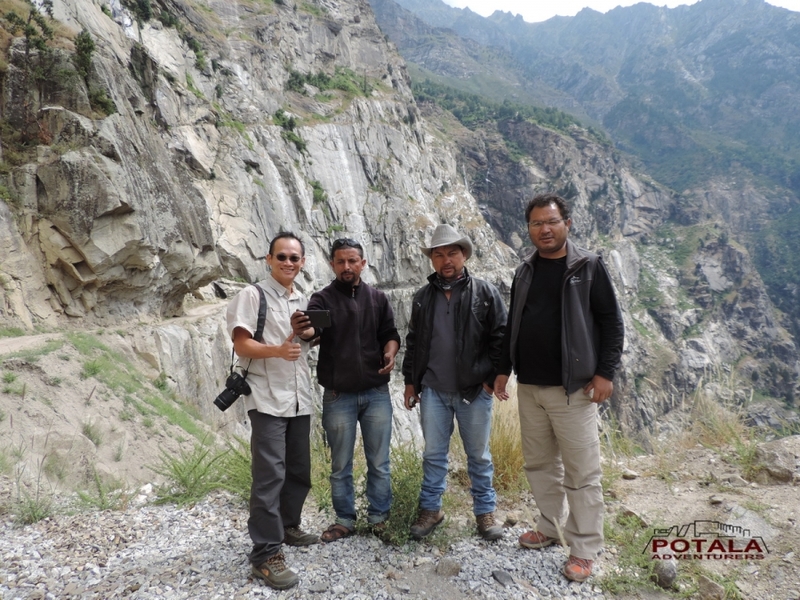 “Good support on all various aspects. 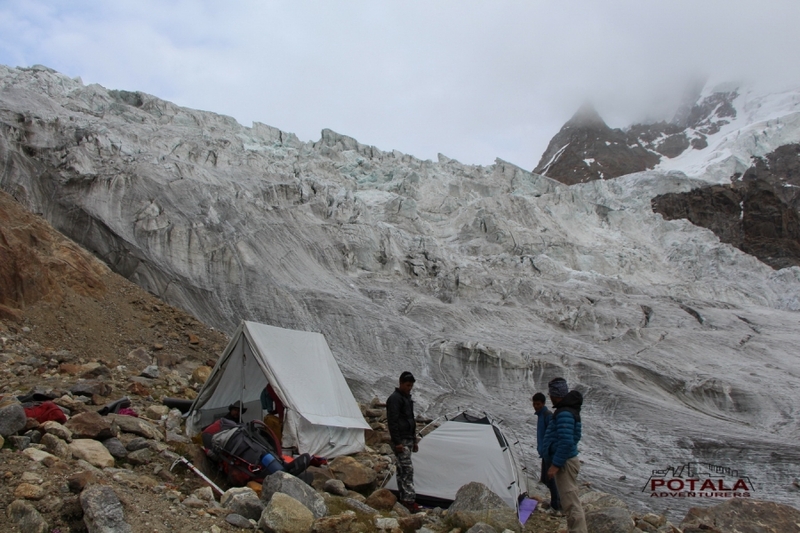 4 season tent to keep me warm all night. 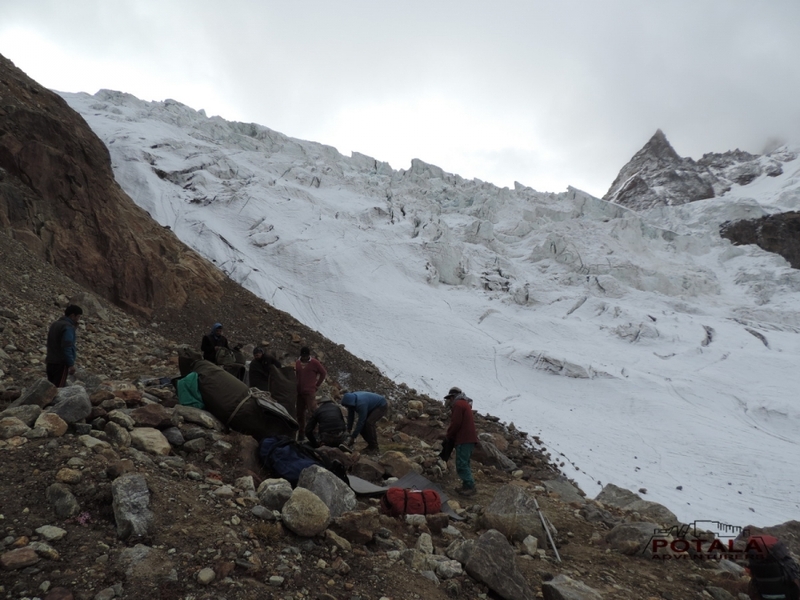 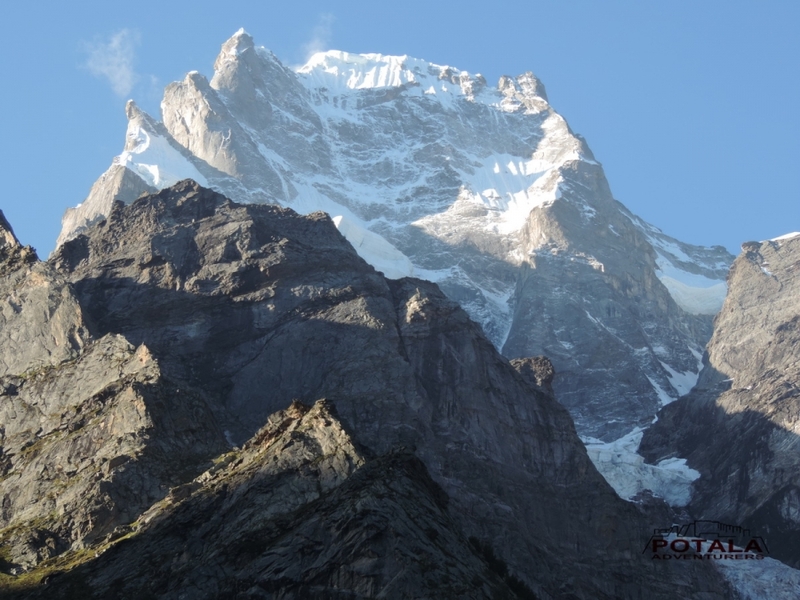 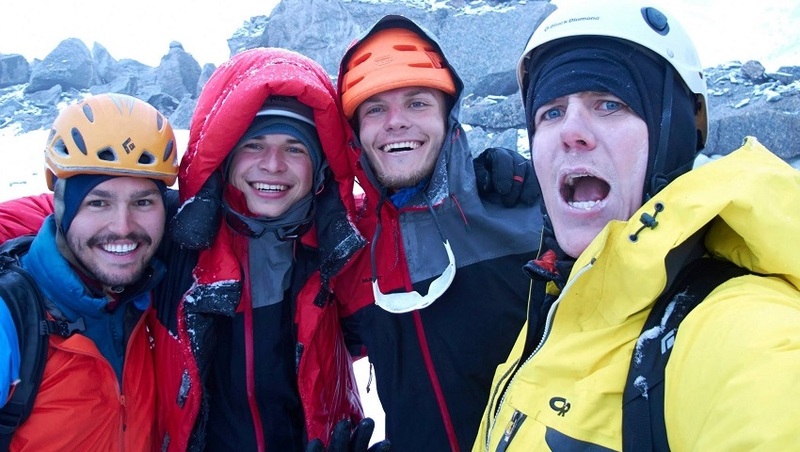 Provide sleeping bag and thick mattress; provide rope carabineer for Umasi La glacier travel. 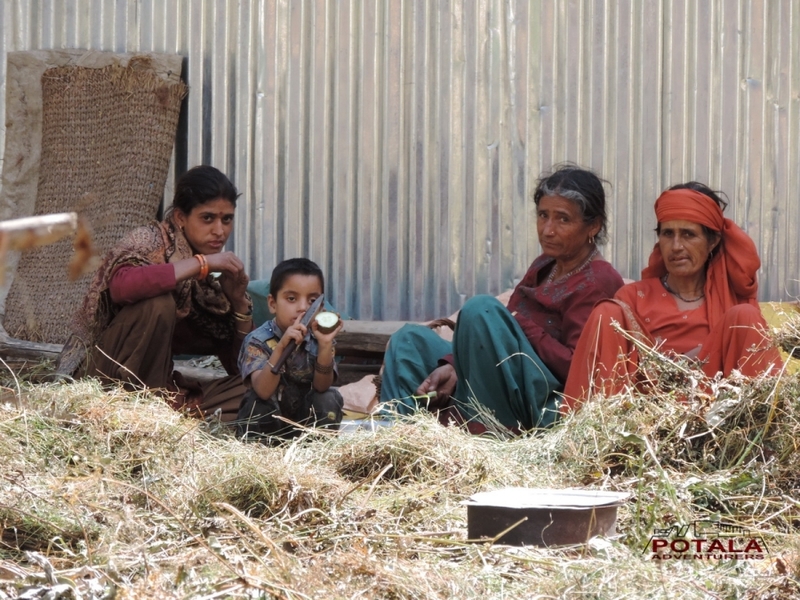 Morning bed tea and hot water for washing. 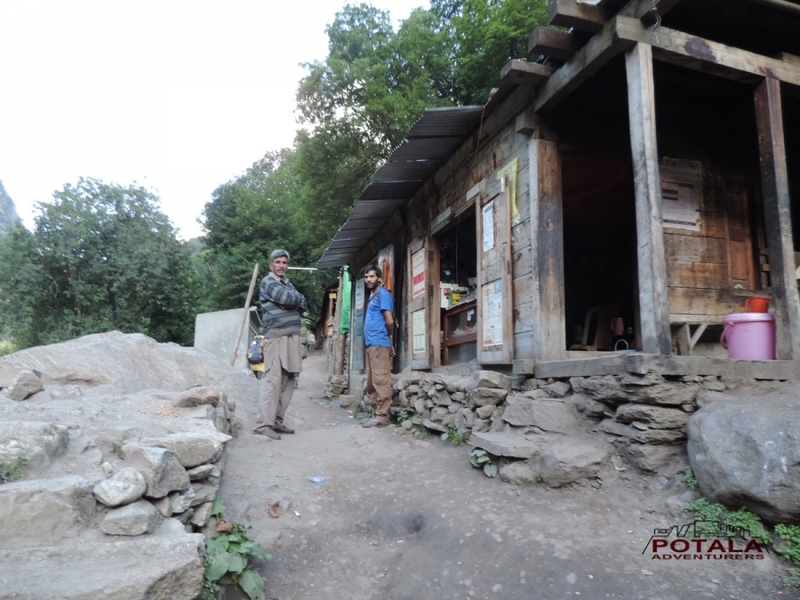 Gas stove are in good condition. 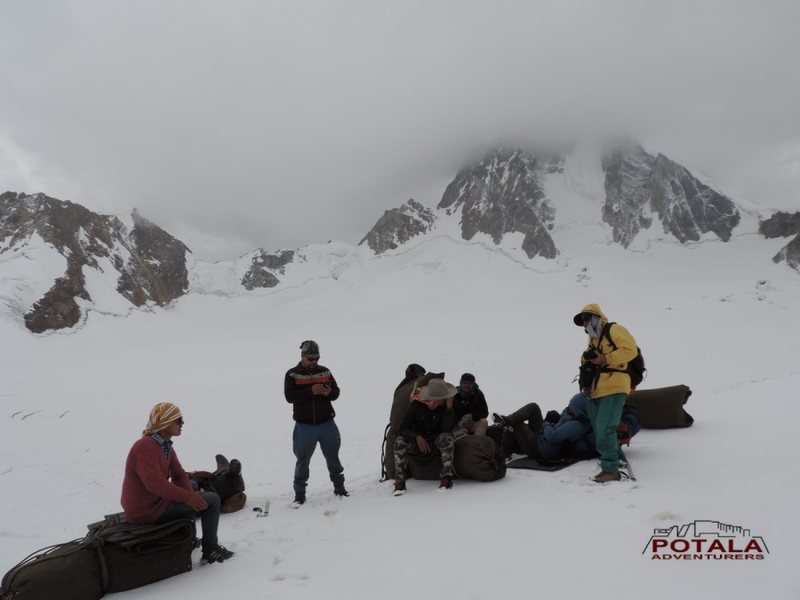 Its play an important role to prepare a hot meal after a long trek. 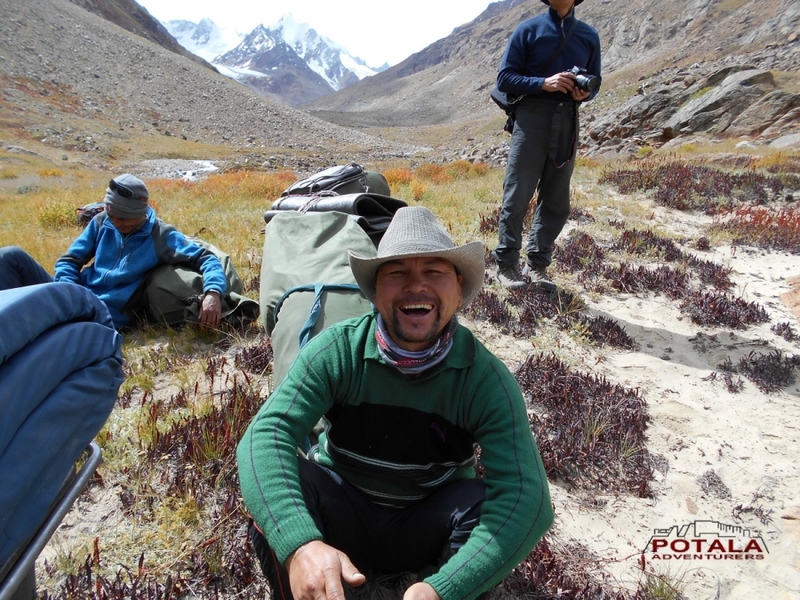 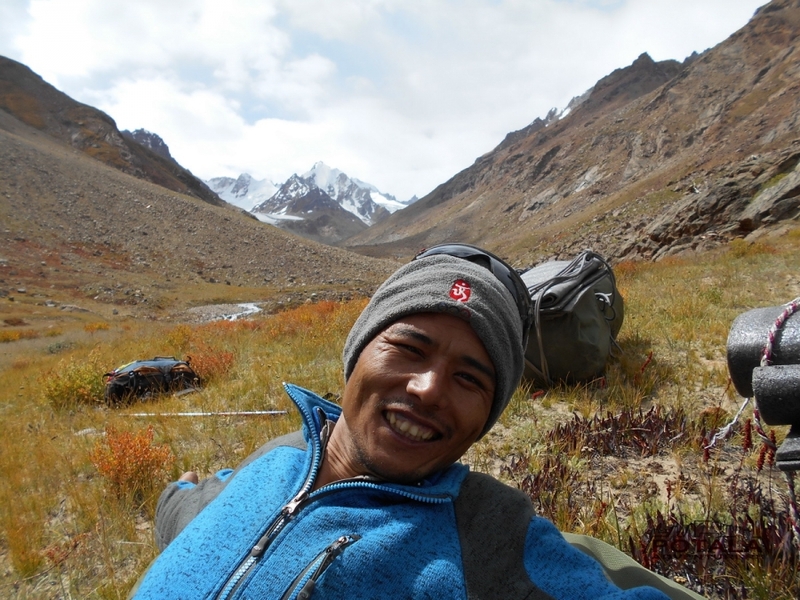 Porters are helpful for helping me to some obstacle on river crossing, glacier crossing. 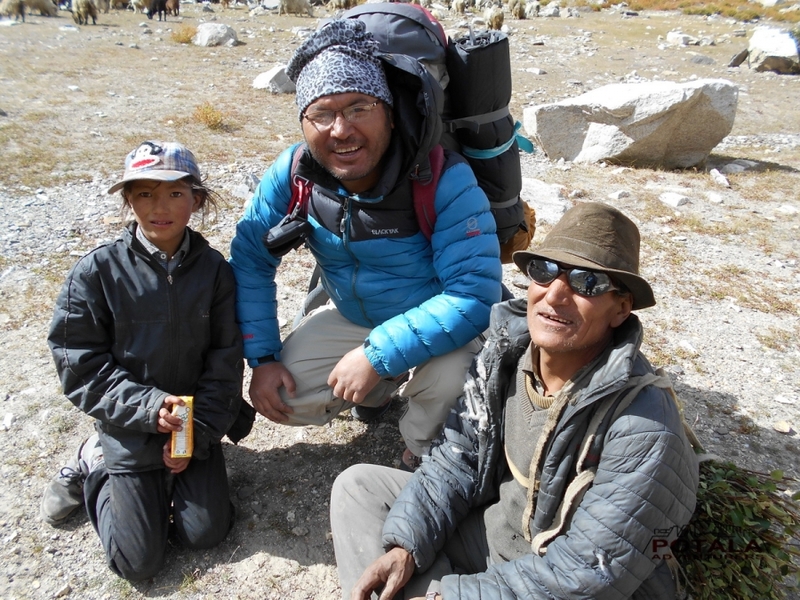 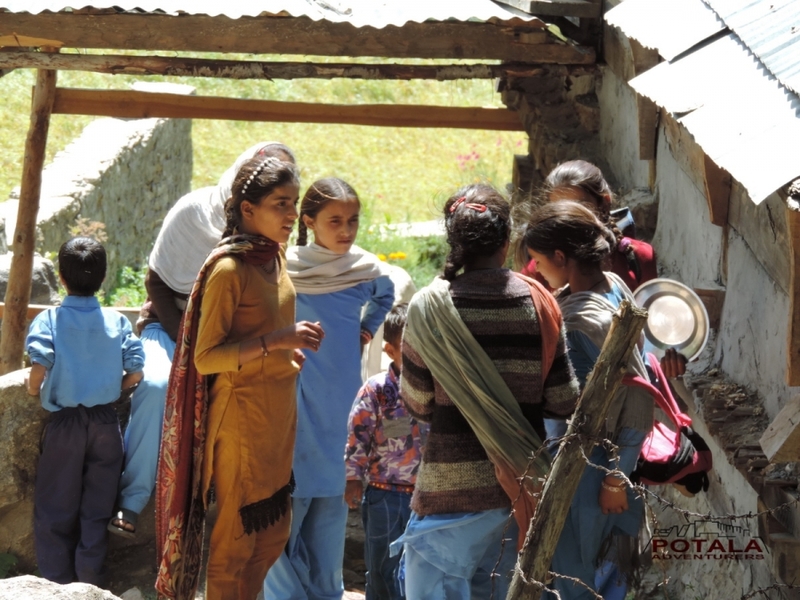 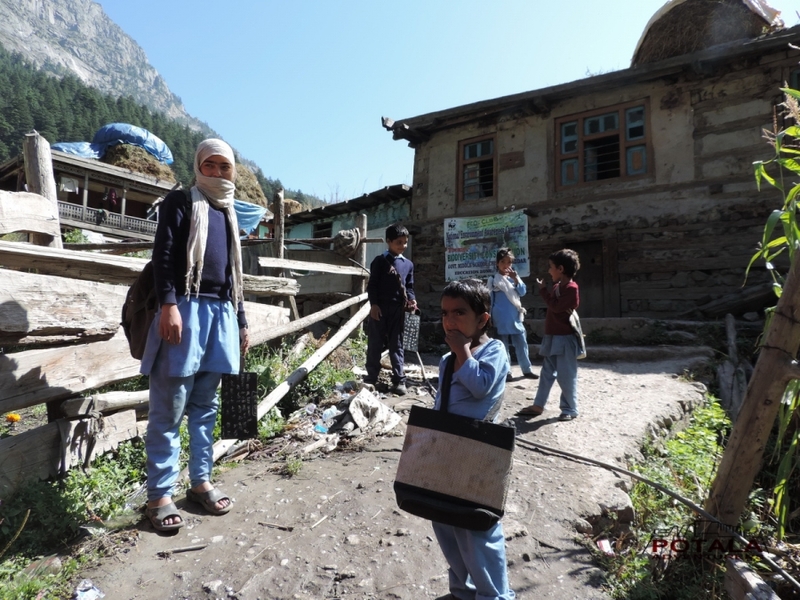 Folding chair, toilet paper, pass message to my family during trek where std is not available. 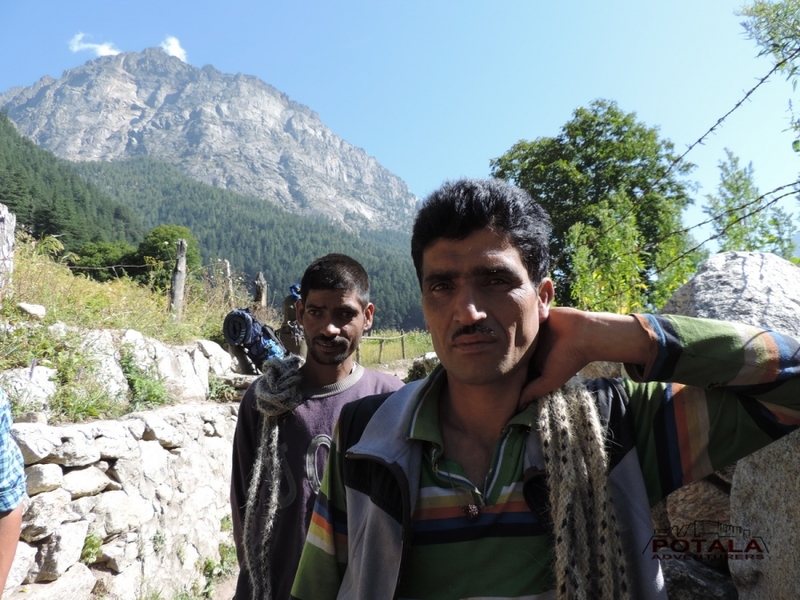 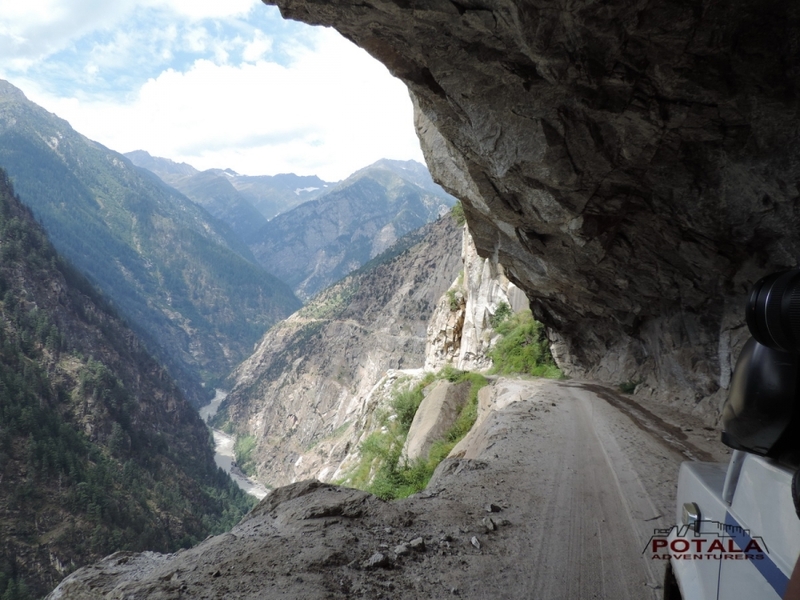 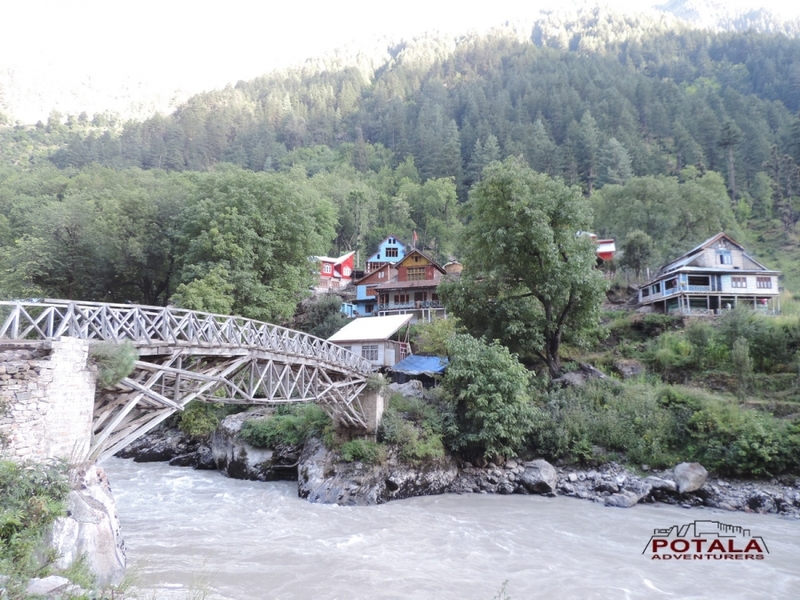 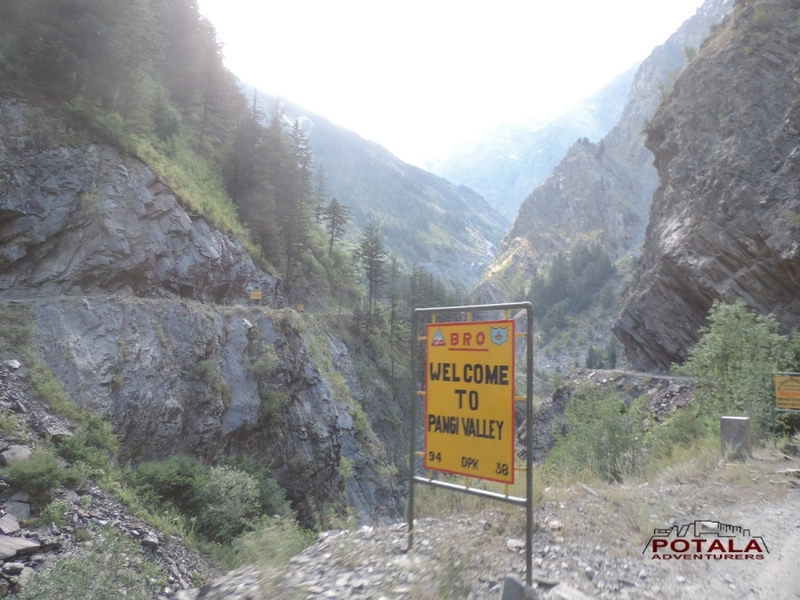 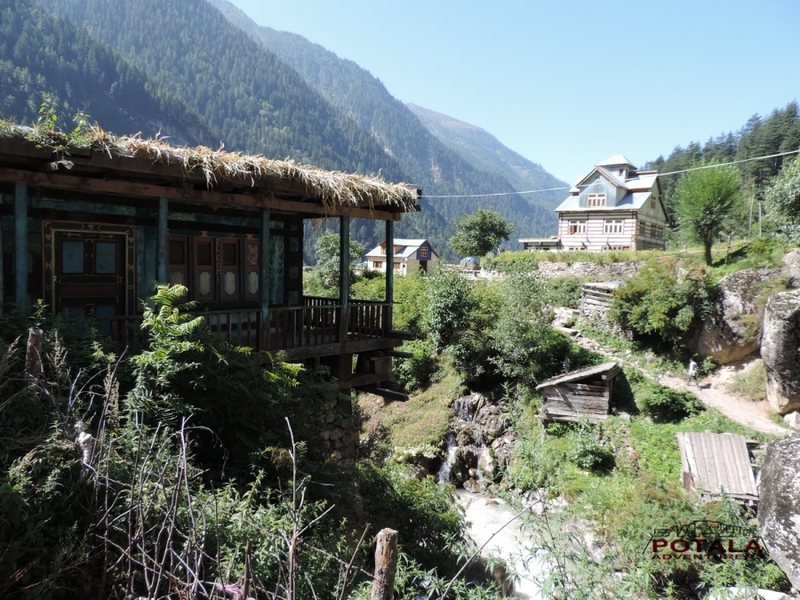 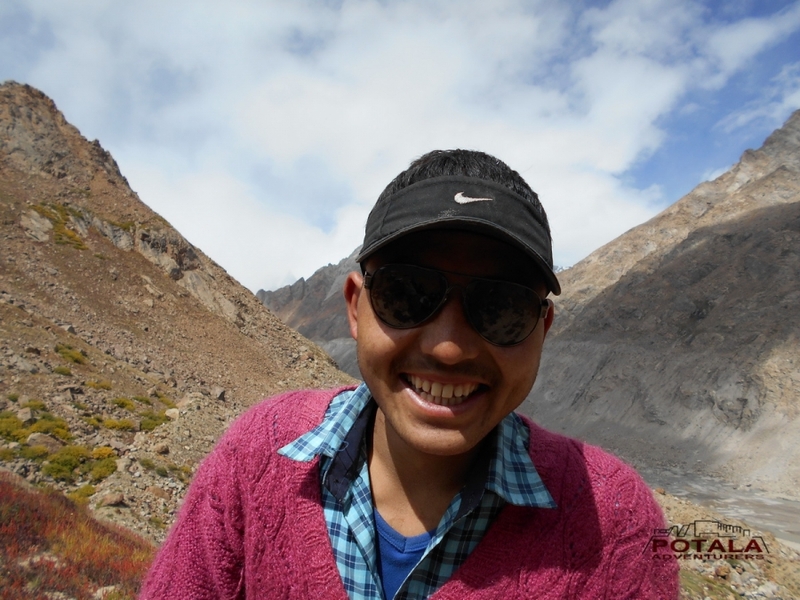 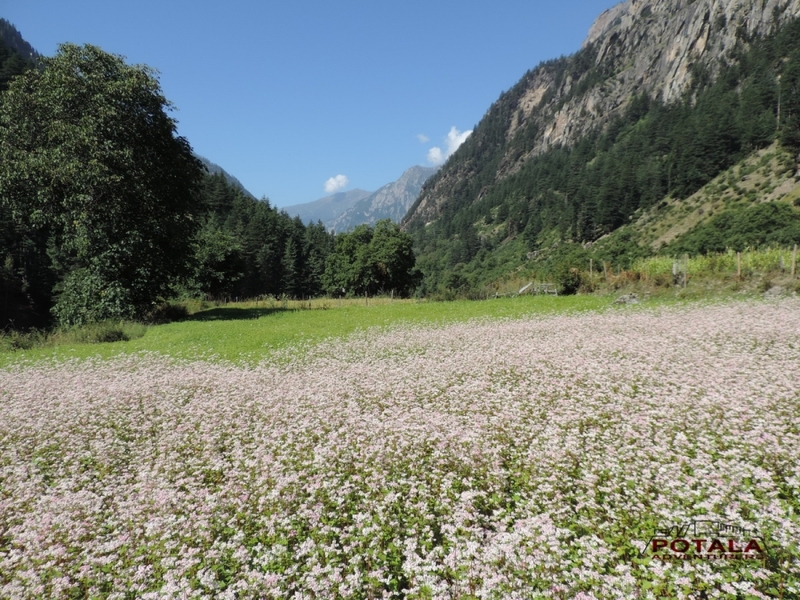 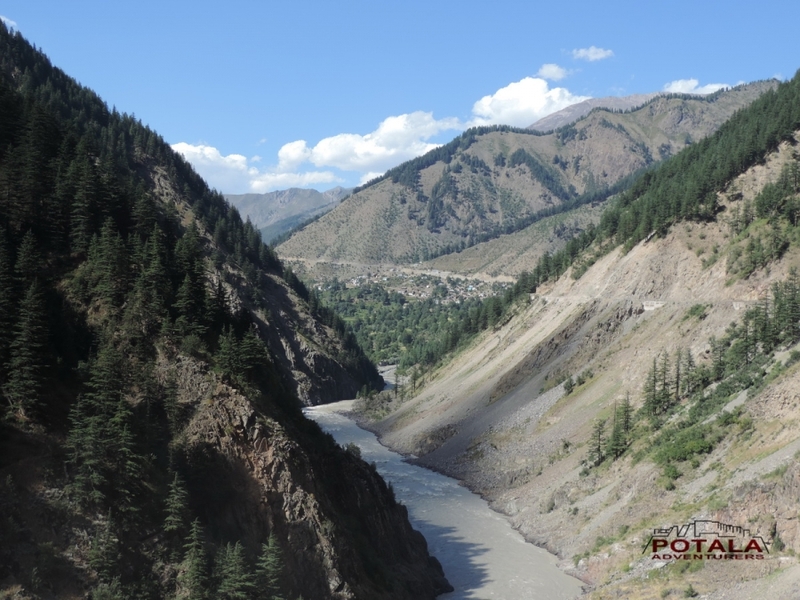 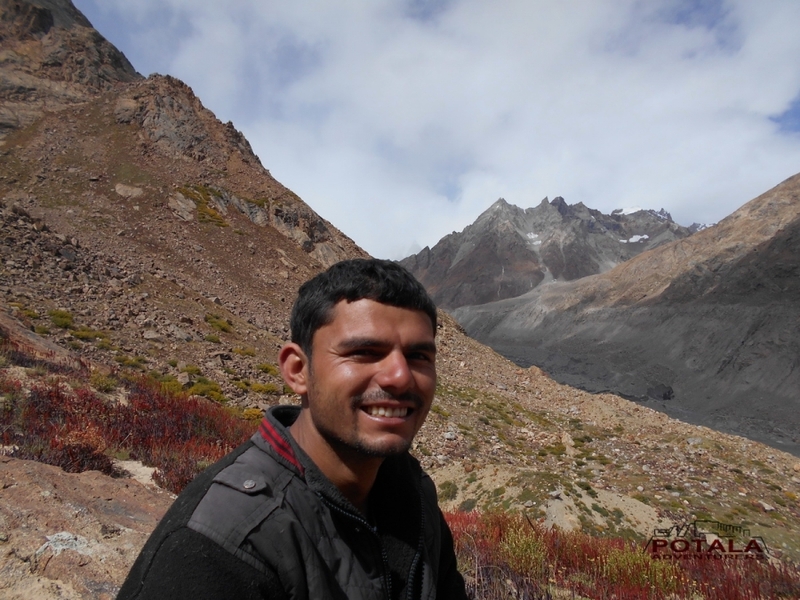 Driver Raj is very experienced and knowledgeable on the Manali - Paddar valley. 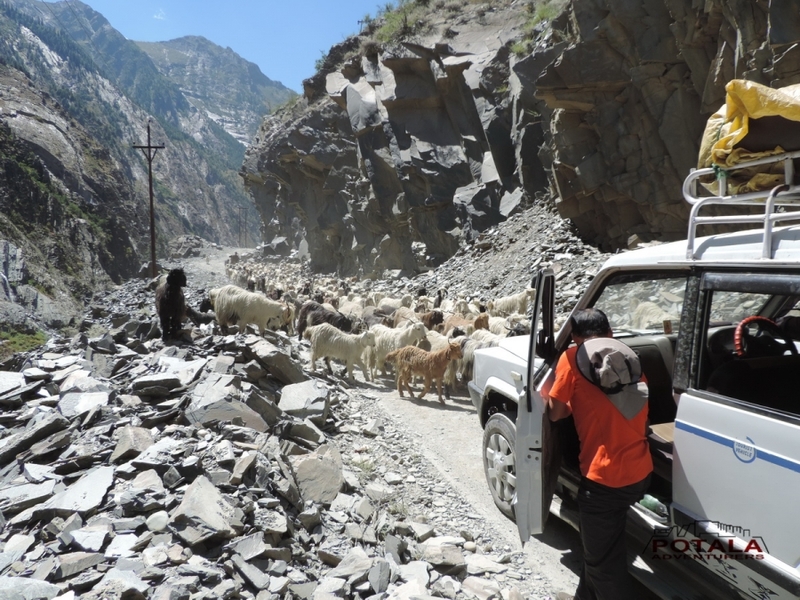 To make us a safe trip. 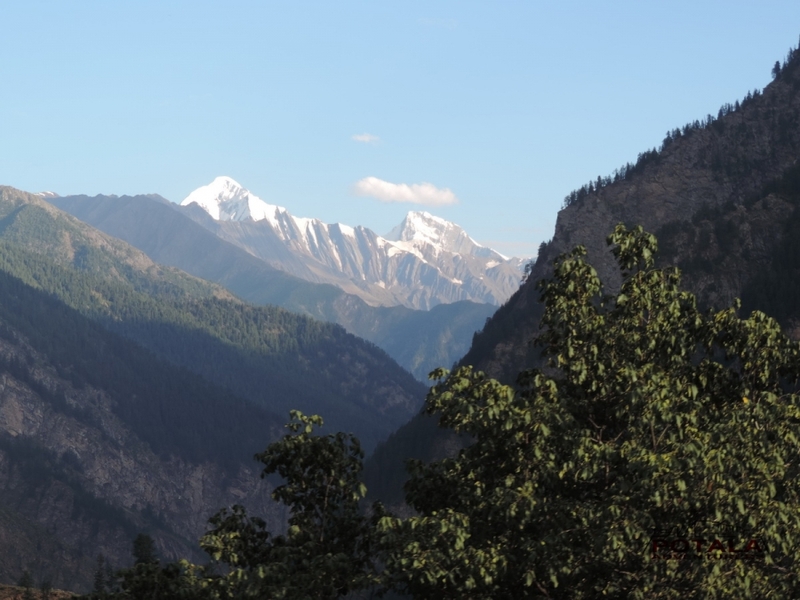 Arranged bus ticket from Delhi to Manali. 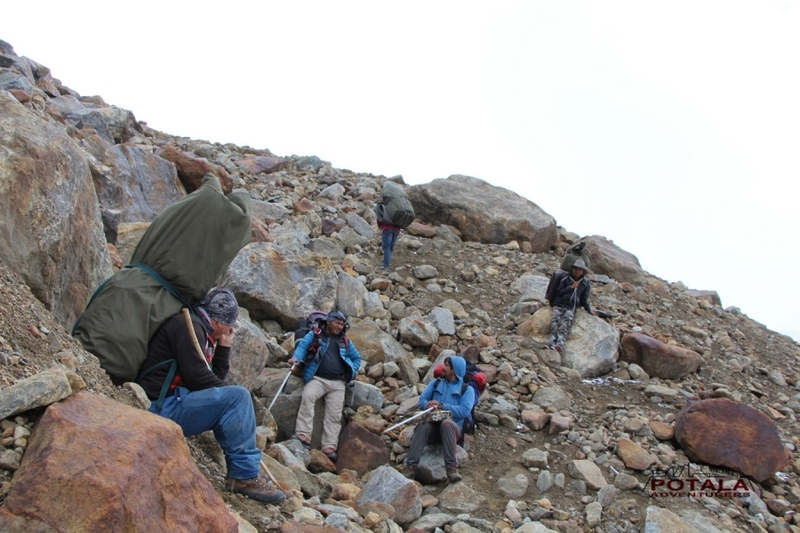 I have to carry only my day bag during trek which i enjoyed. 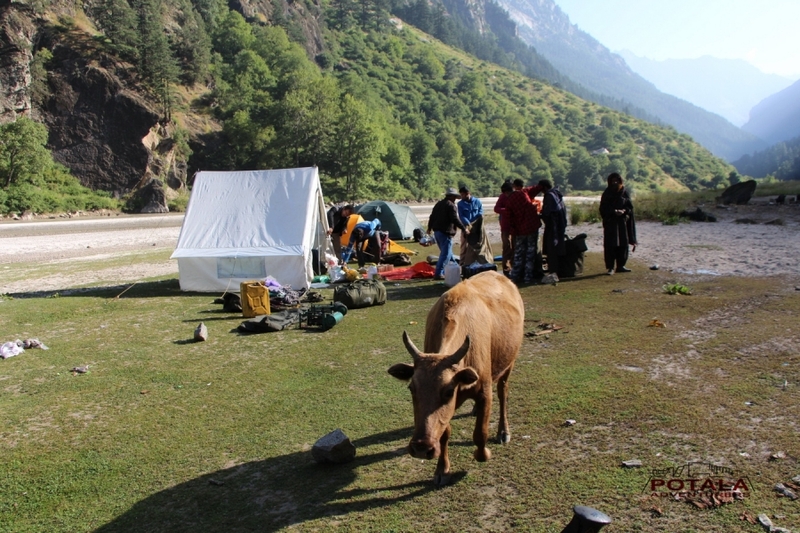 Always choose the best spot for set my tent, client came first. 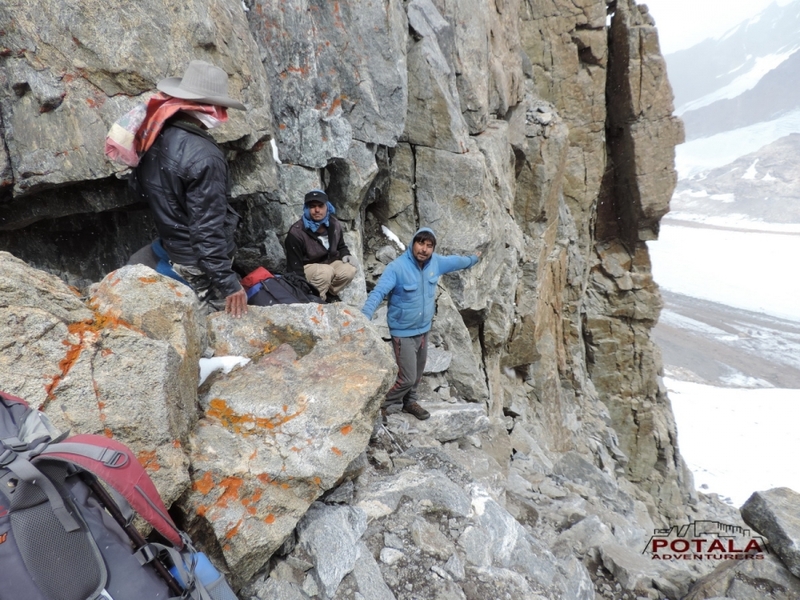 This is my third time of joining Potala Adventurers - achieves the objective with happy memories. 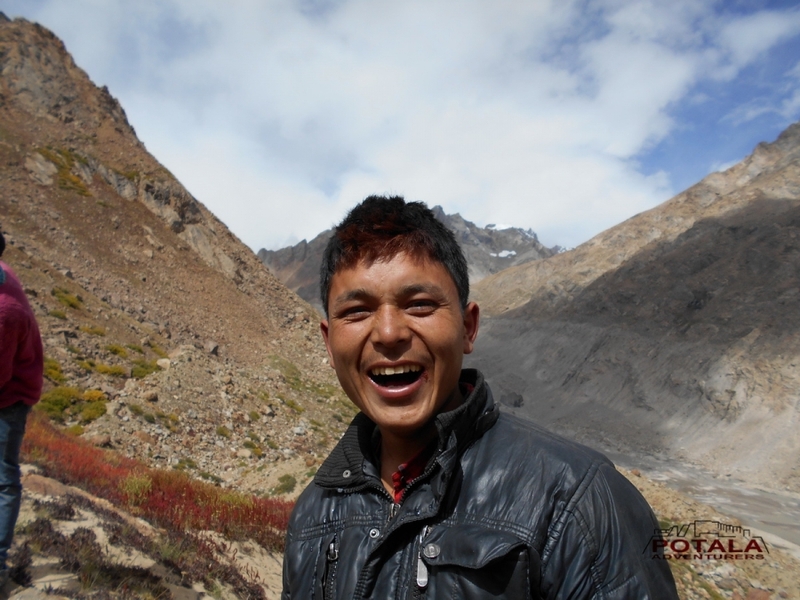 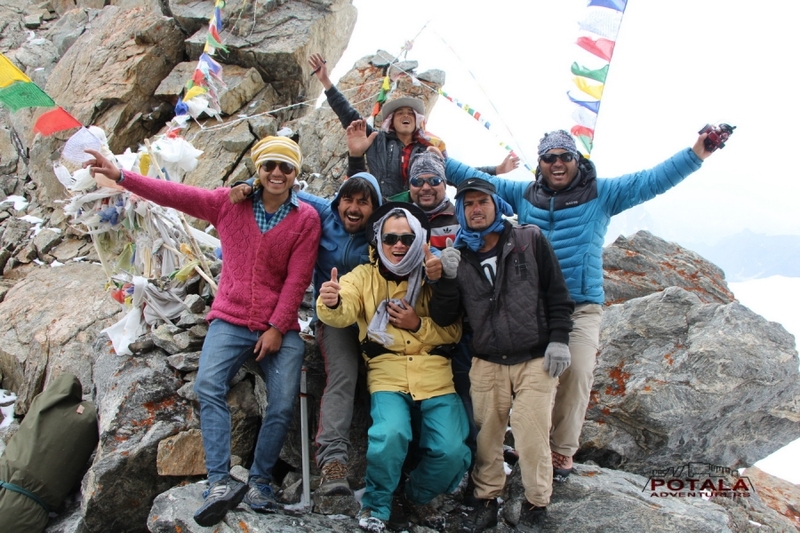 I am looking forward to next adventurous holiday with Potala Adventurers in the near future. "